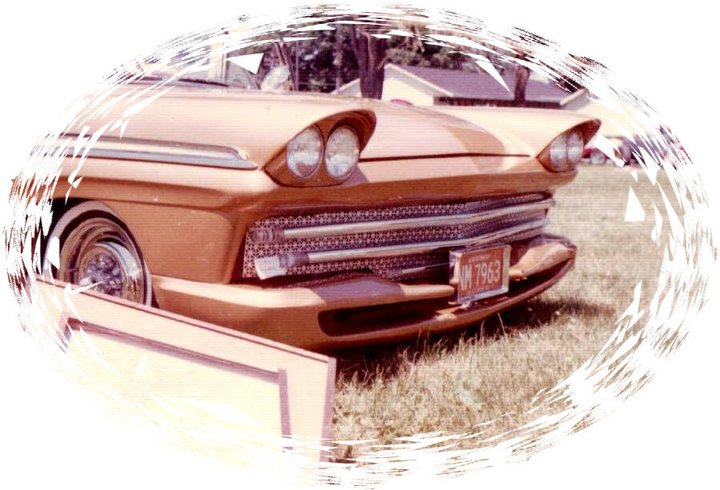 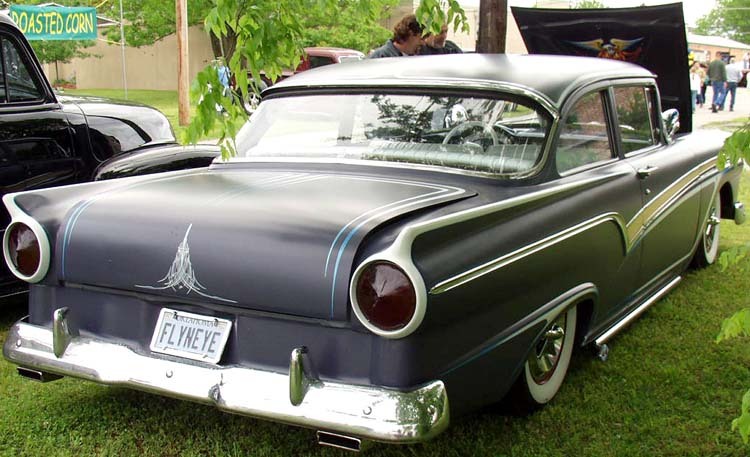 1957 Ford owned by Illinois Valley Mis-Fires member Ron Volpe of La Salle, Illinois. 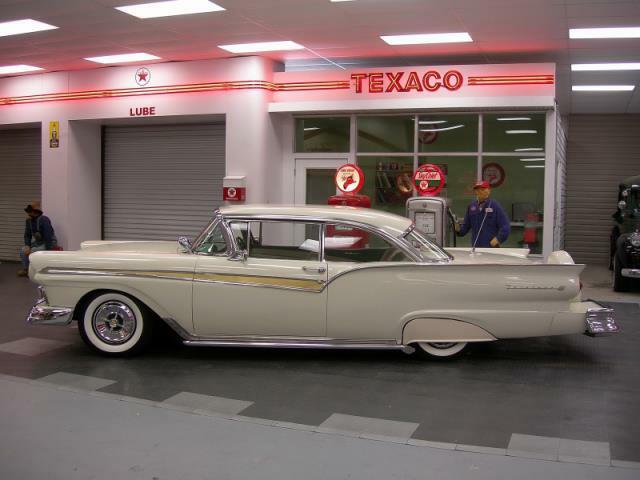 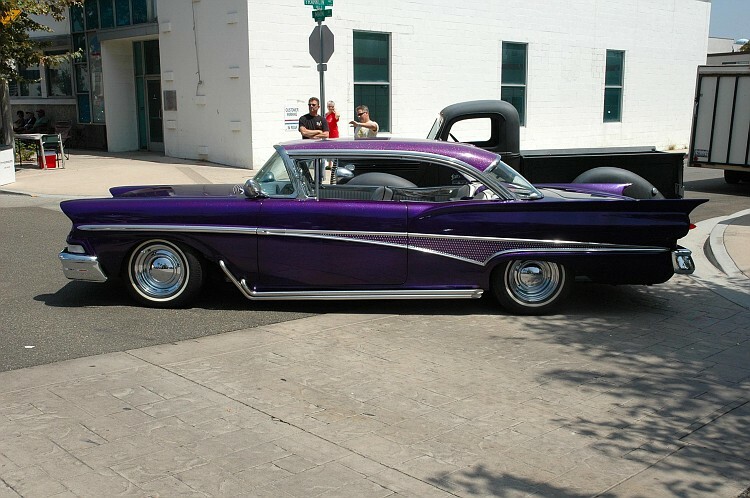 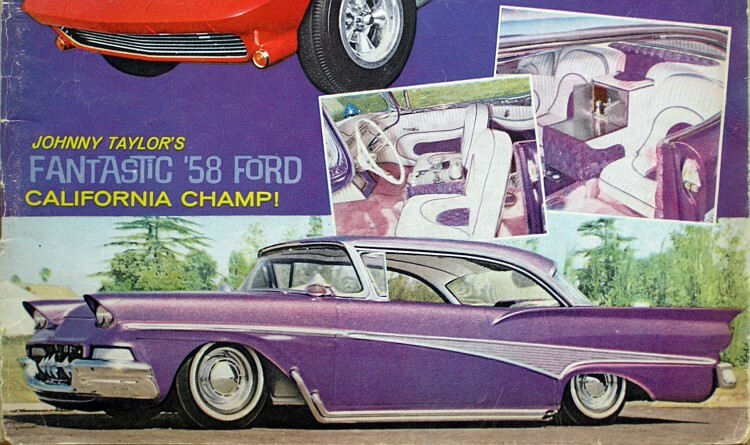 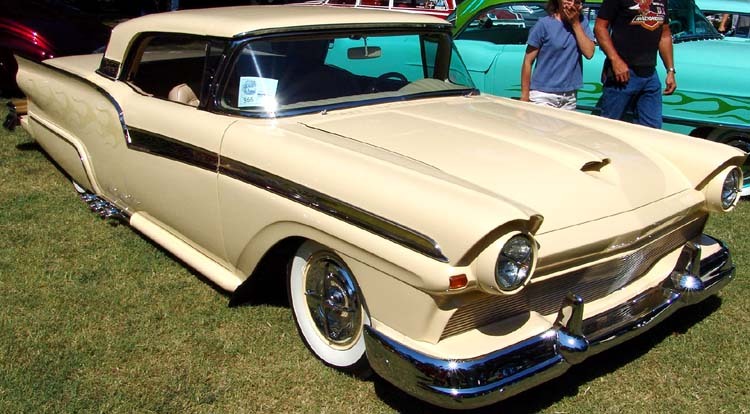 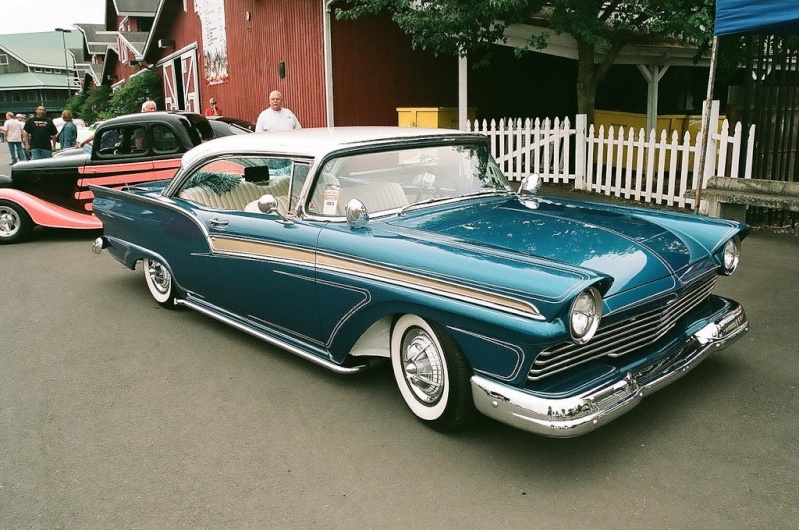 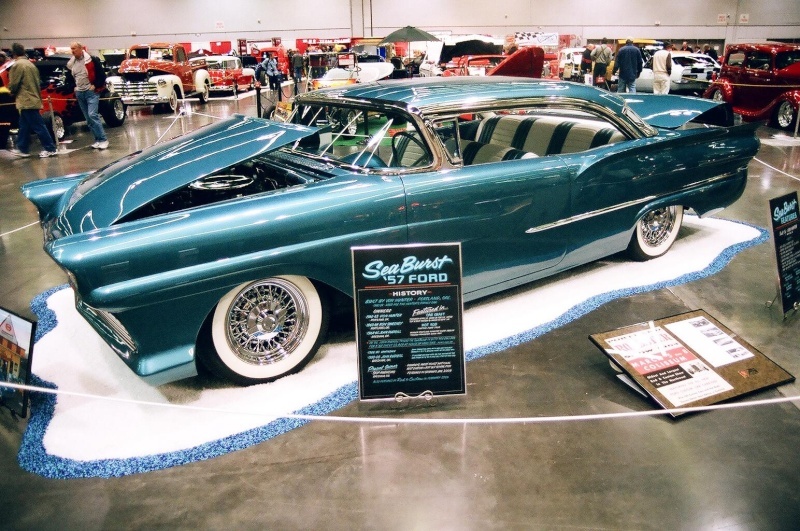 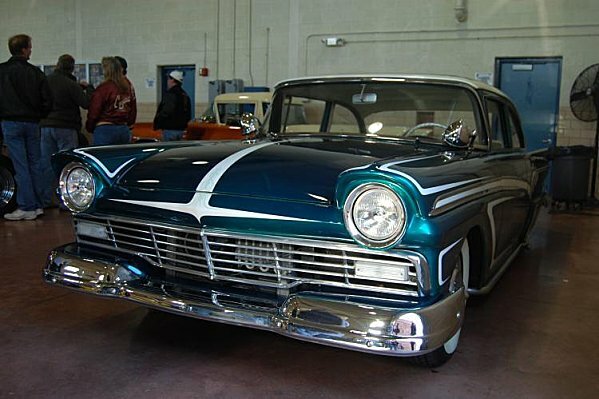 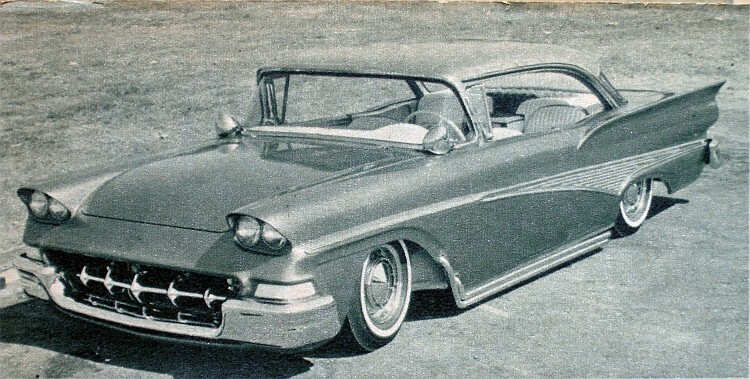 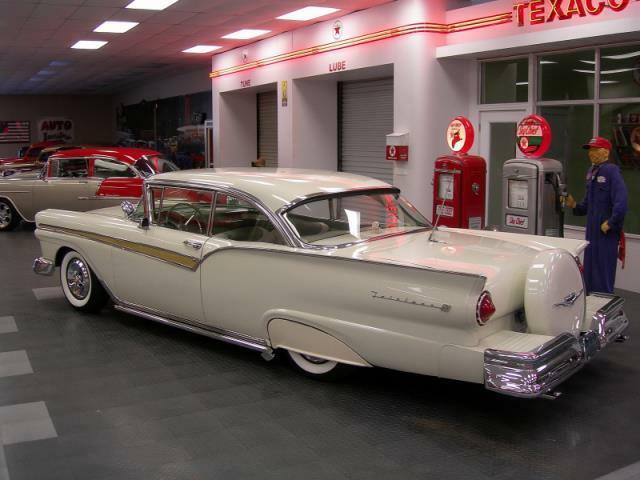 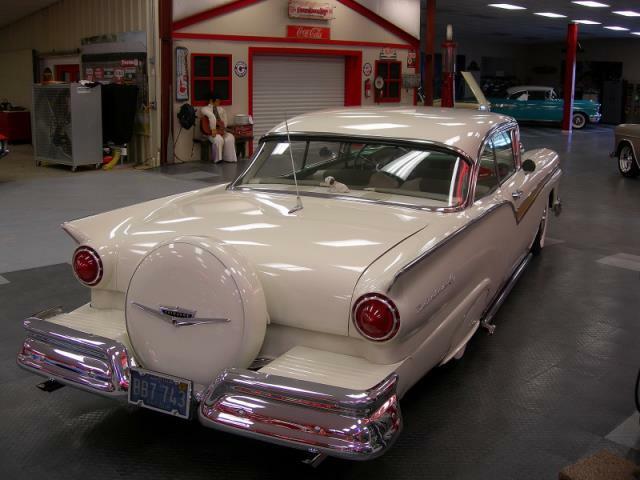 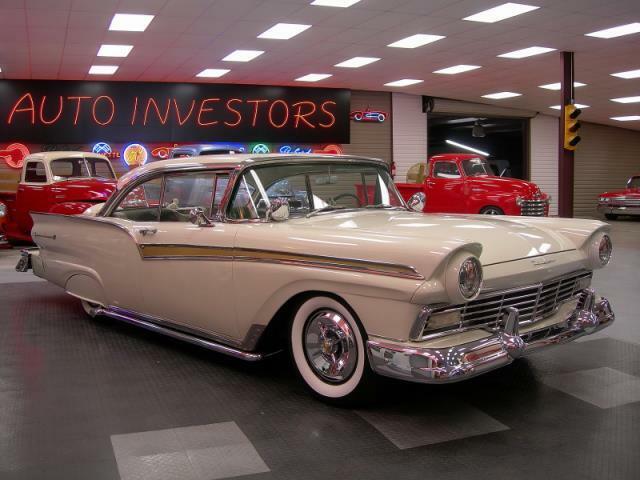 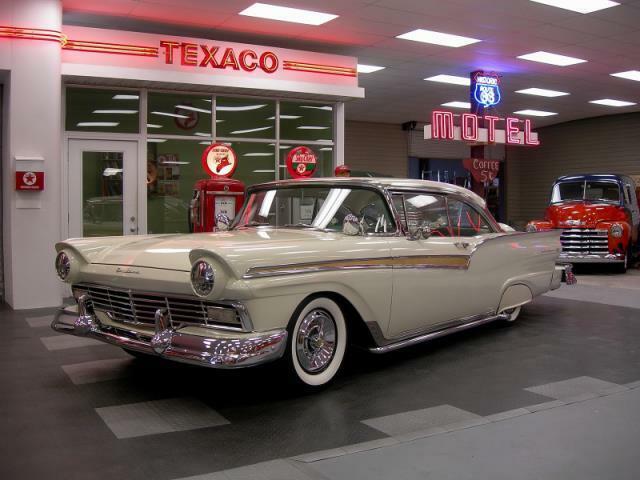 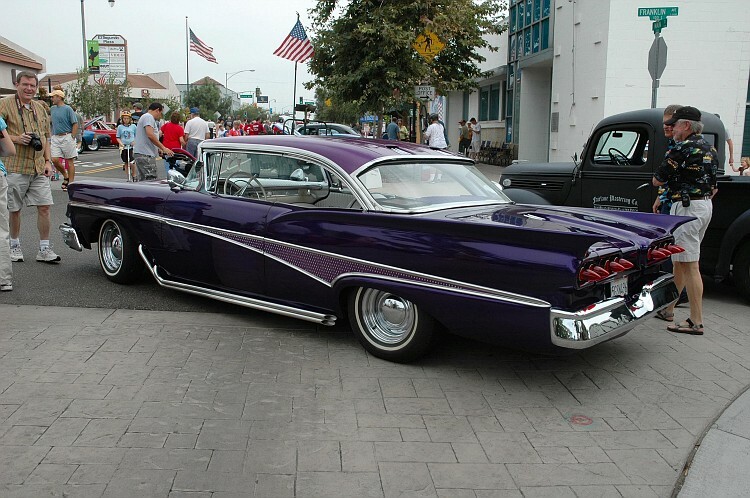 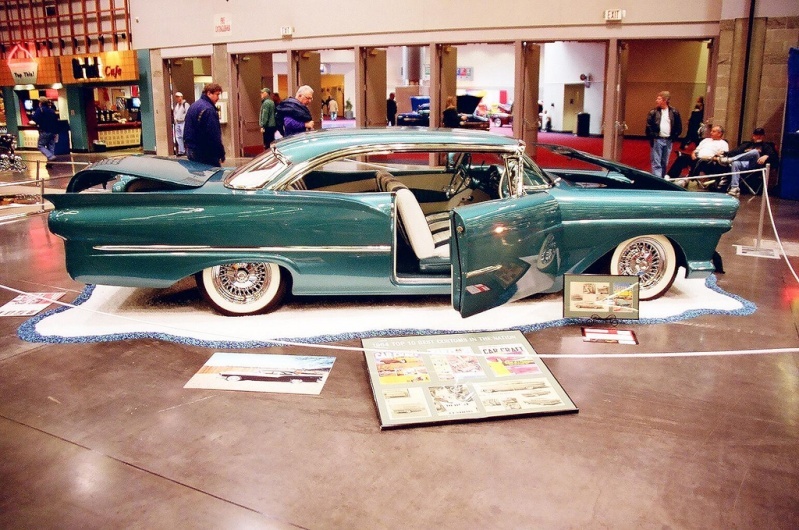 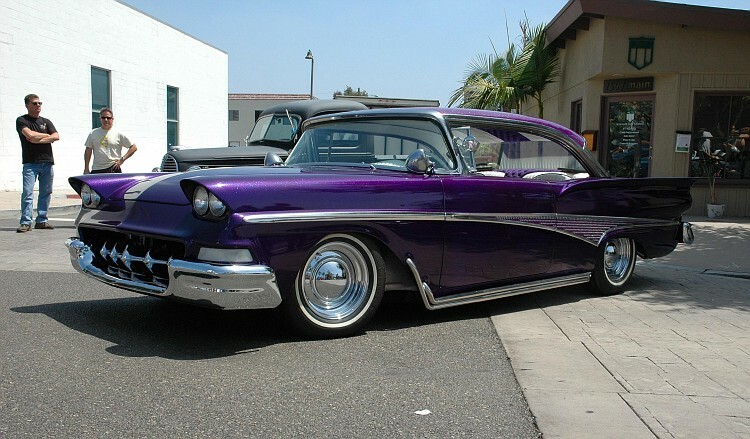 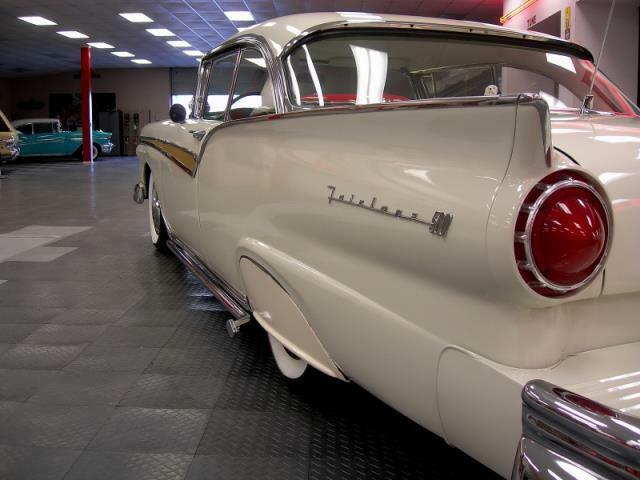 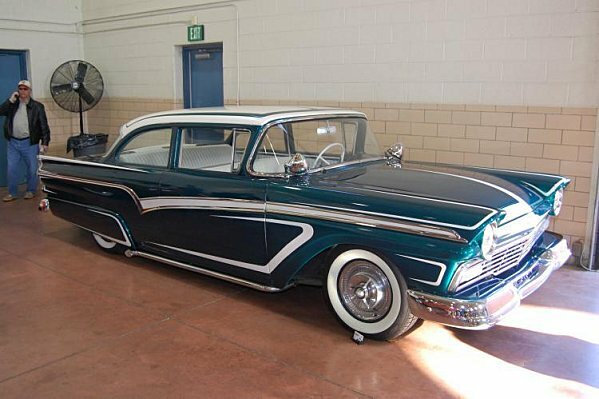 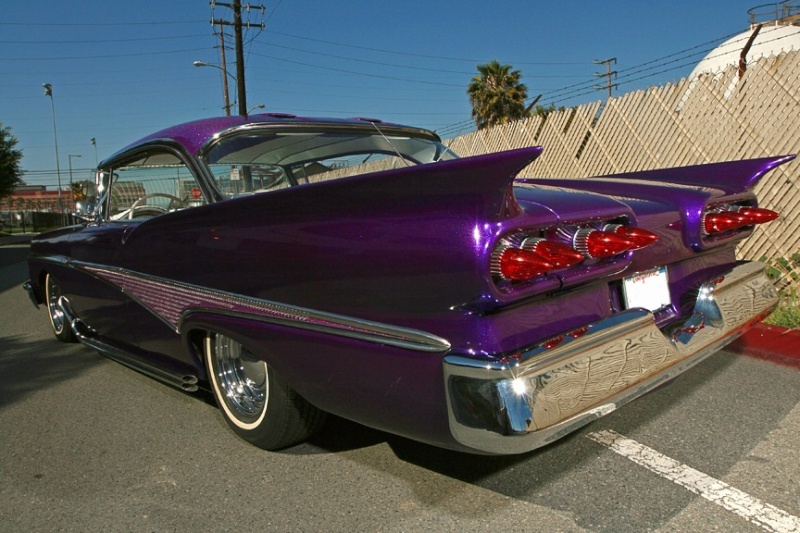 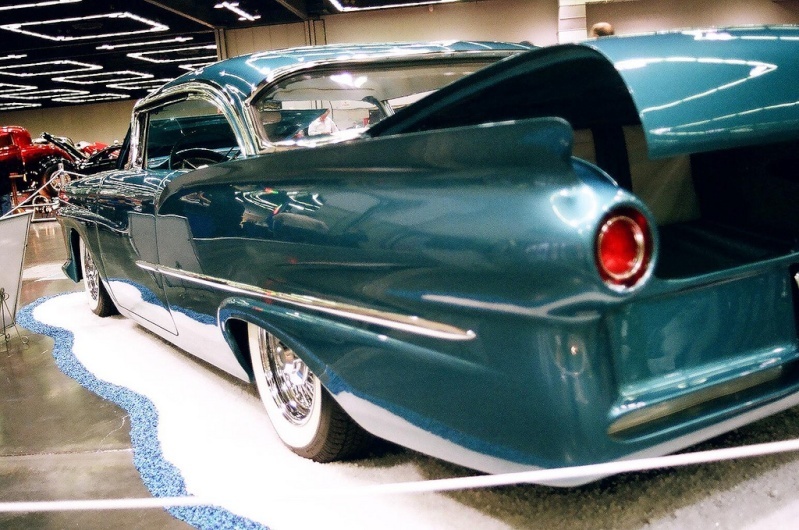 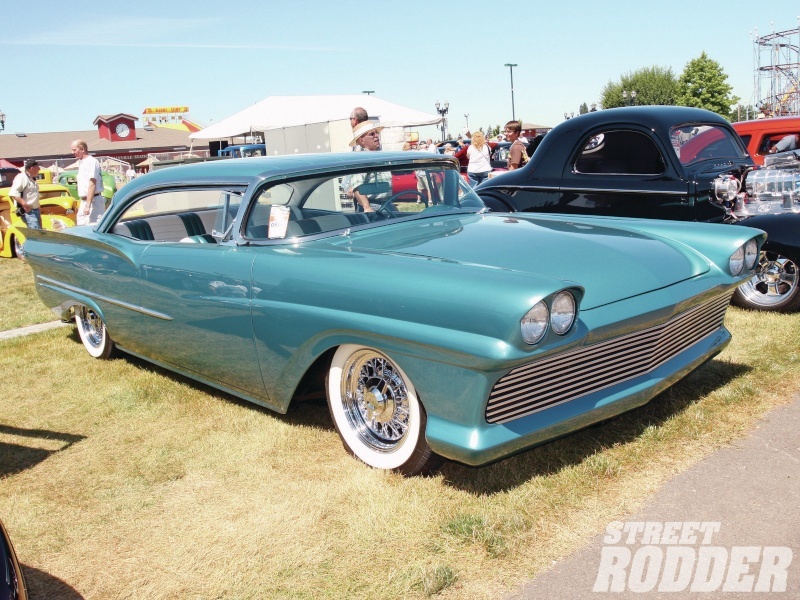 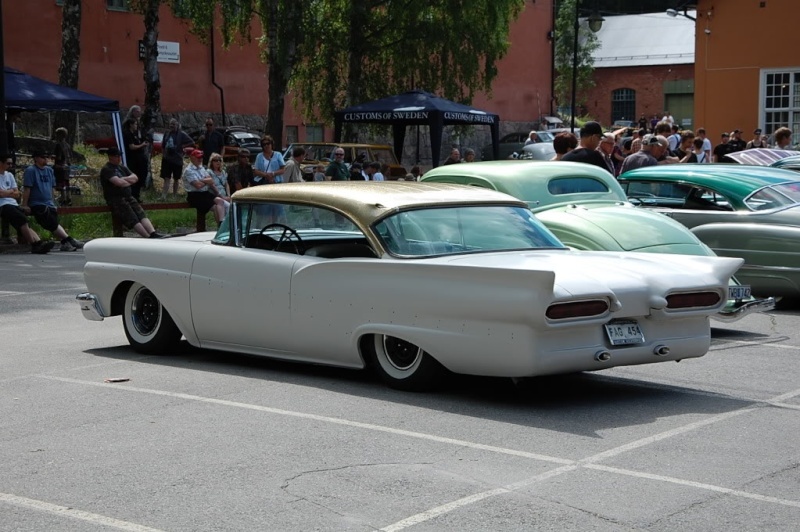 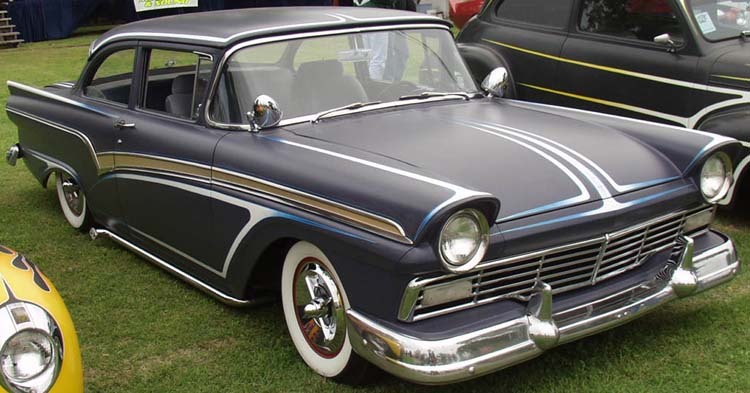 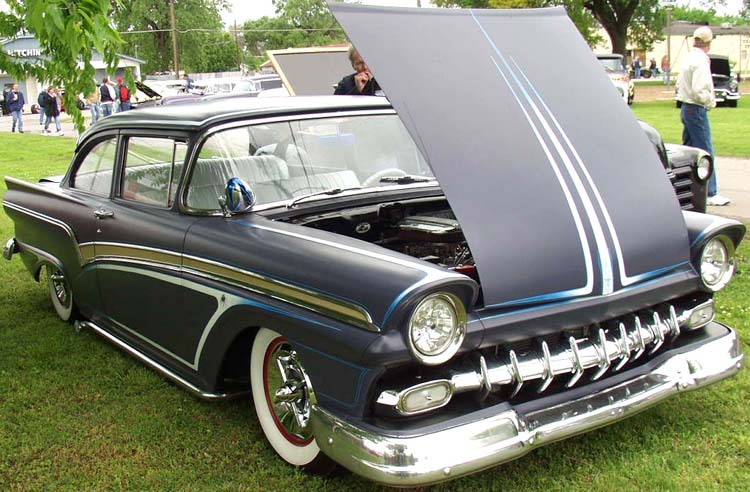 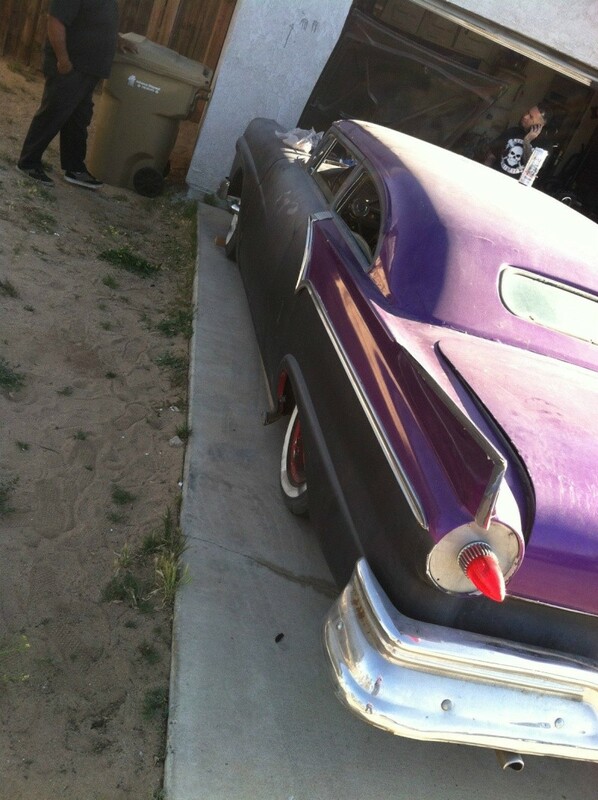 cool custom 1957 Ford Fairlane 500. 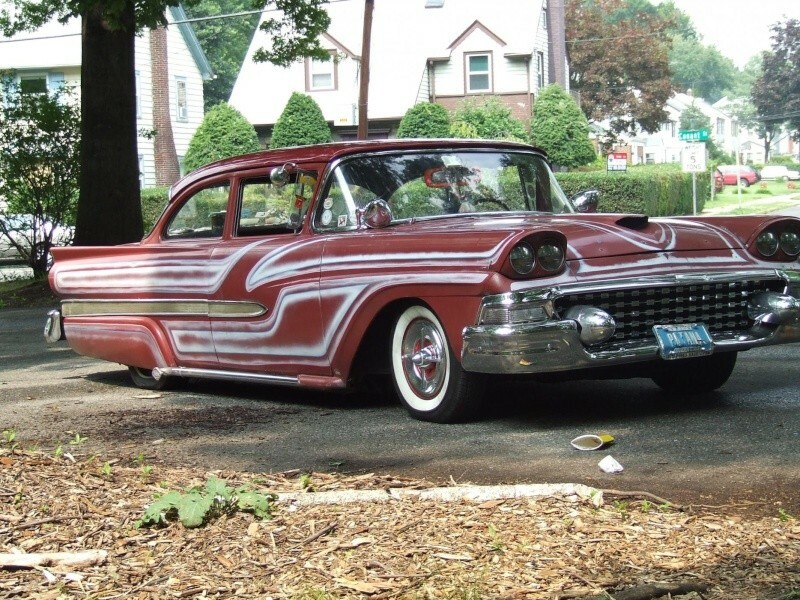 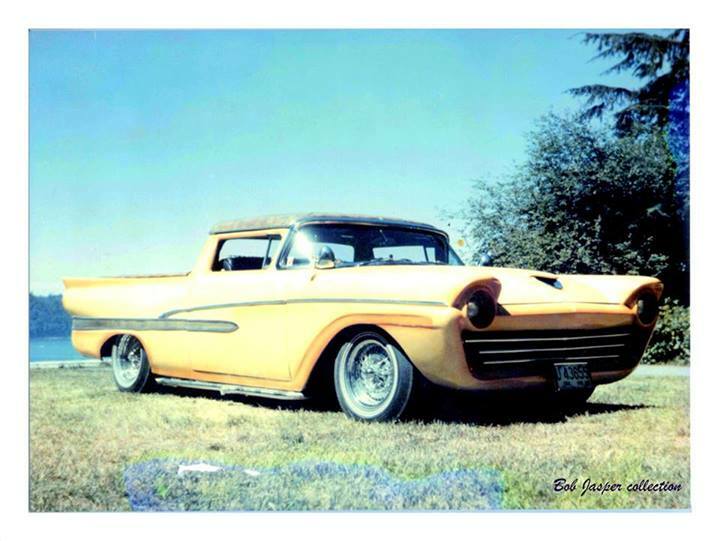 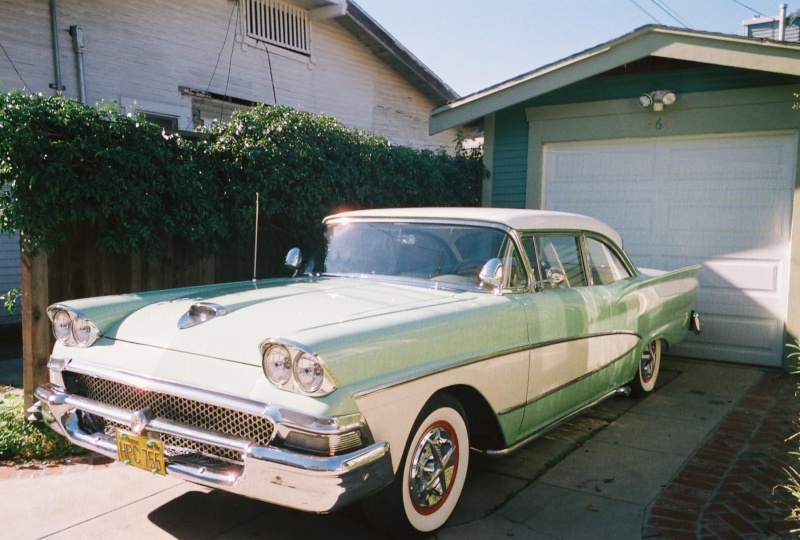 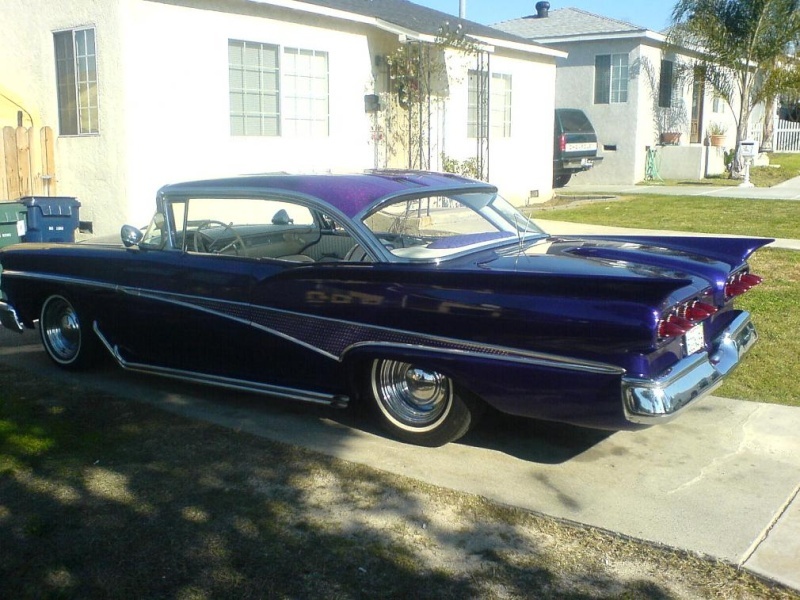 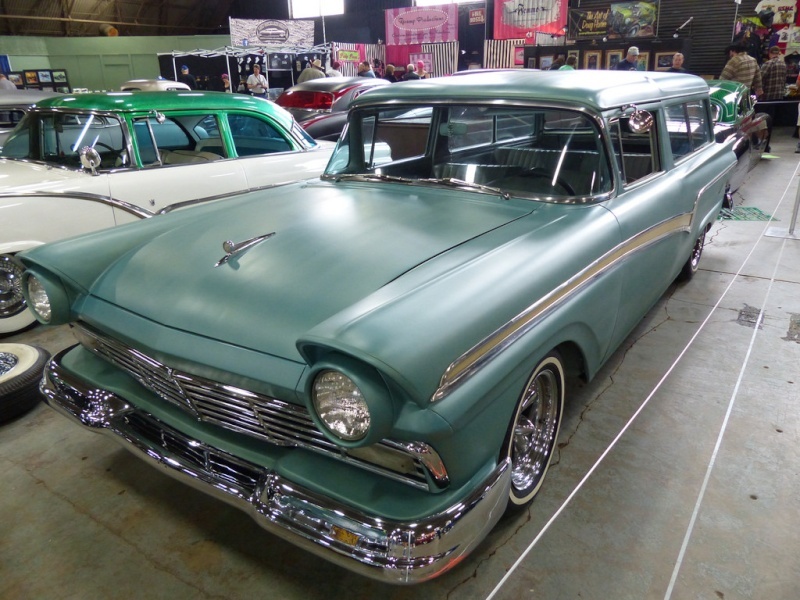 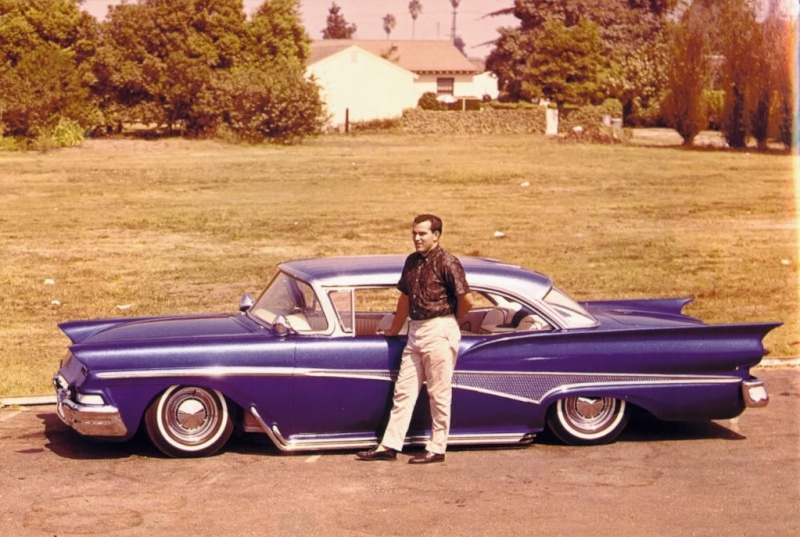 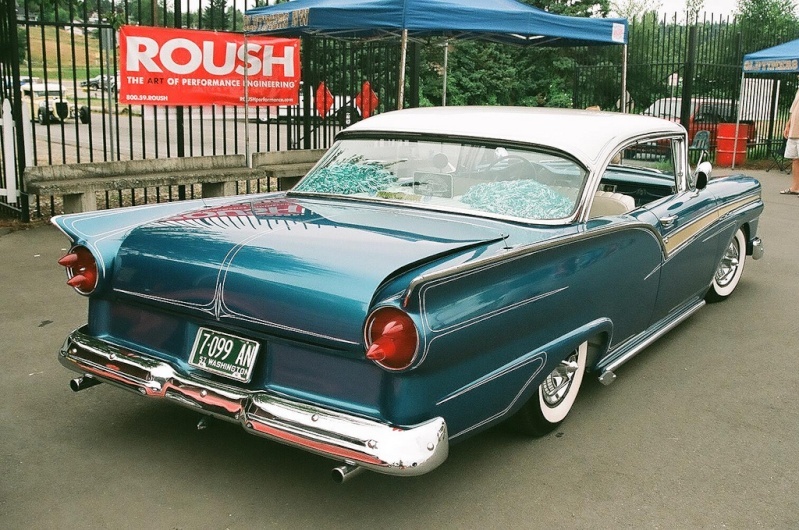 This one will take you back to the days before 20k dollar paint jobs, air bags, and stereo's that cost more than the car itself, back before car shows and big auction events, a time when "cruisin" was the cool thing to do. 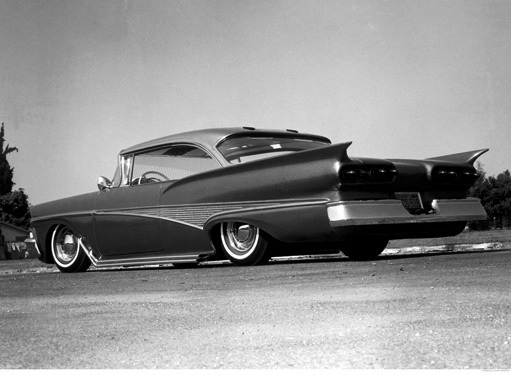 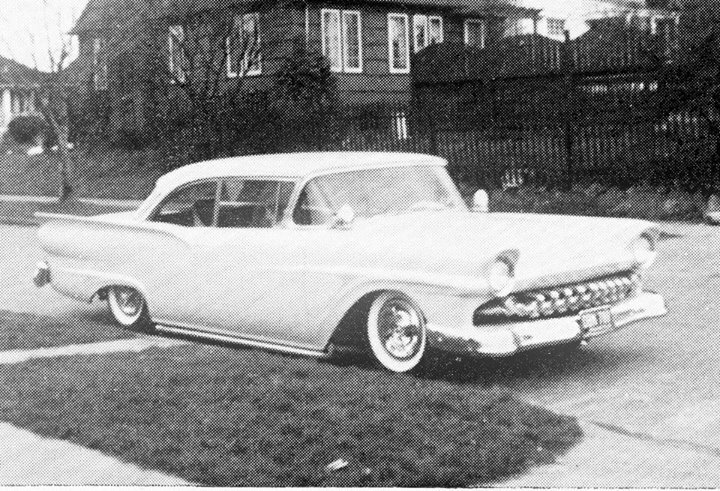 This sled has been lowered and fitted with a continental kit, fender skirts, lake pipes, flipper hubcaps, spot lights and chrome grill. 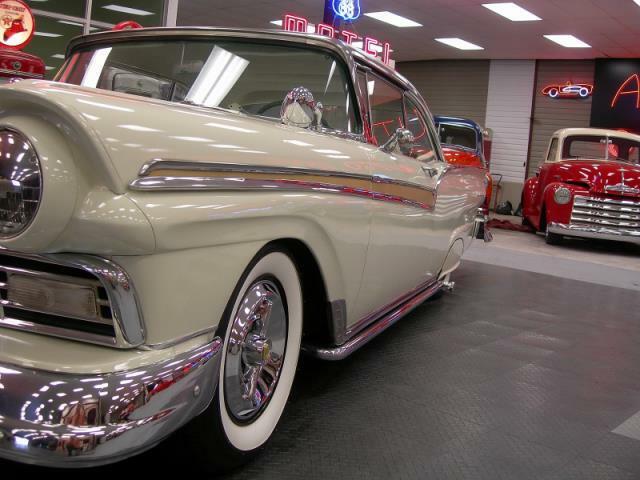 The body on the car is nice and straight with great looking chrome and stainless and the cream white paint looks good as well. 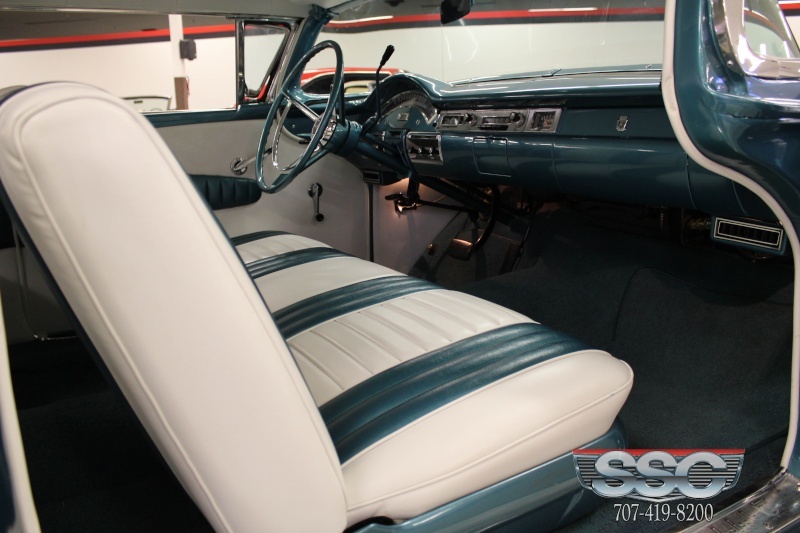 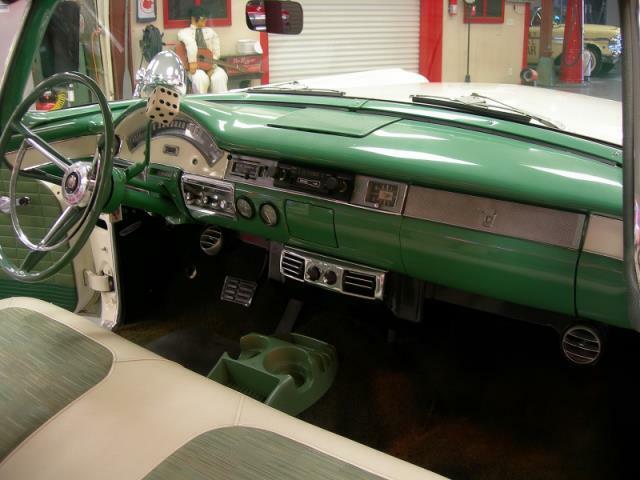 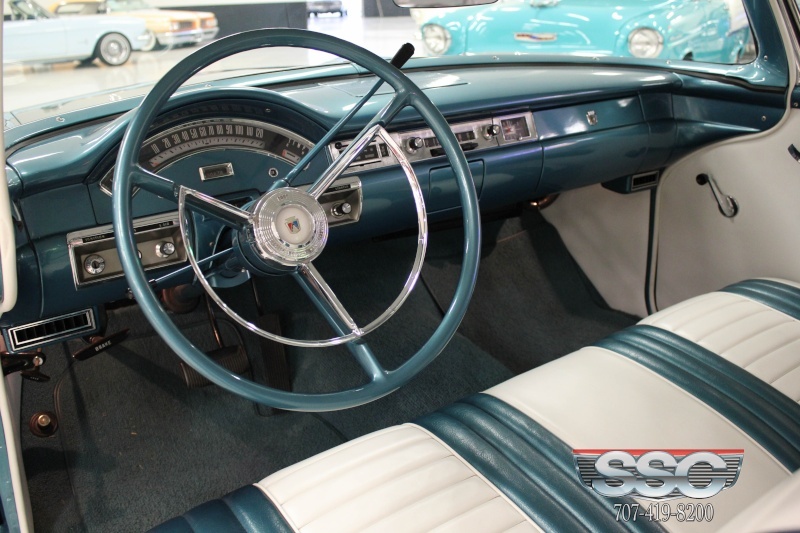 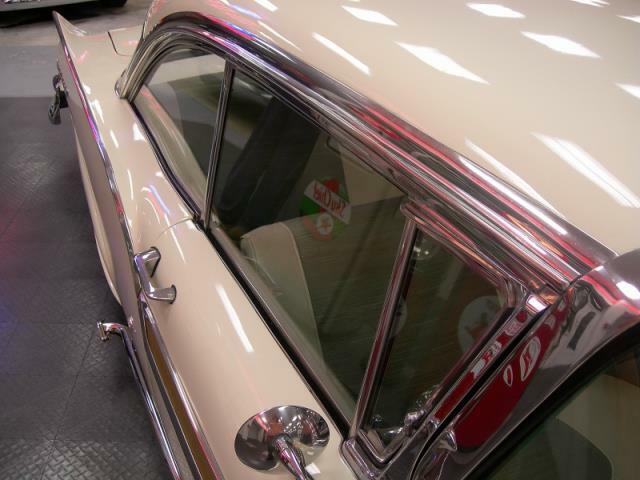 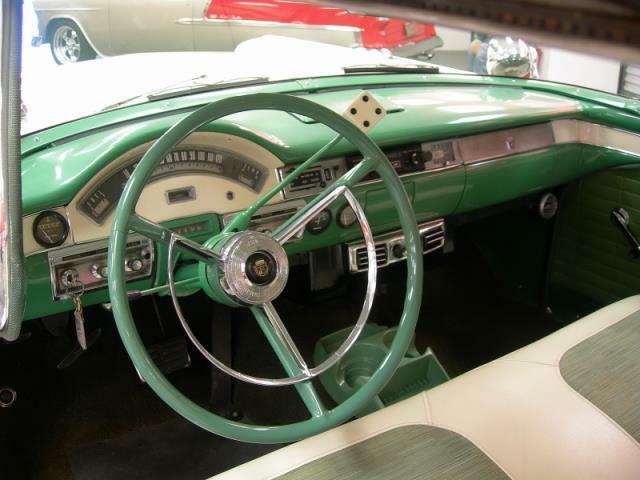 The interior is very nice and clean with a beautiful painted dash and is equipped with air conditioning, AM-FM stereo, and great looking chrome hardware. 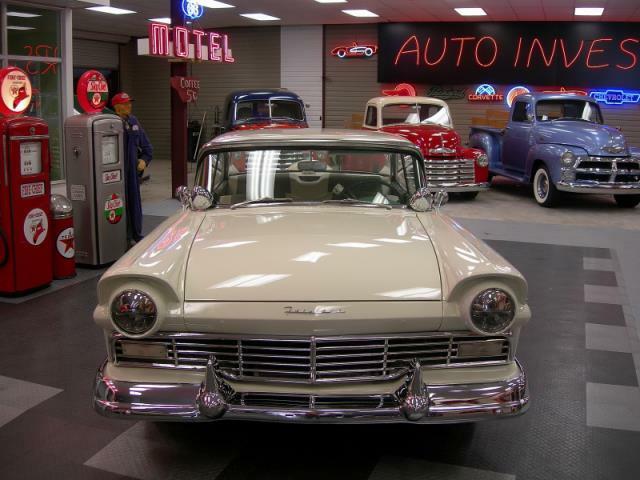 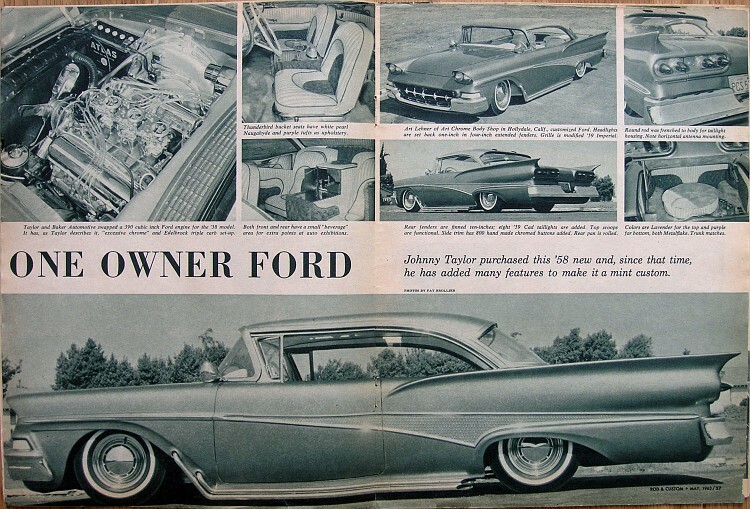 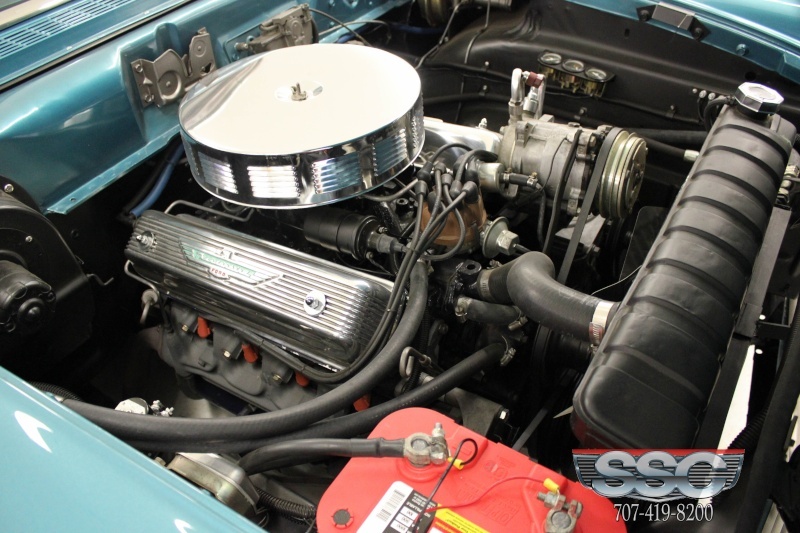 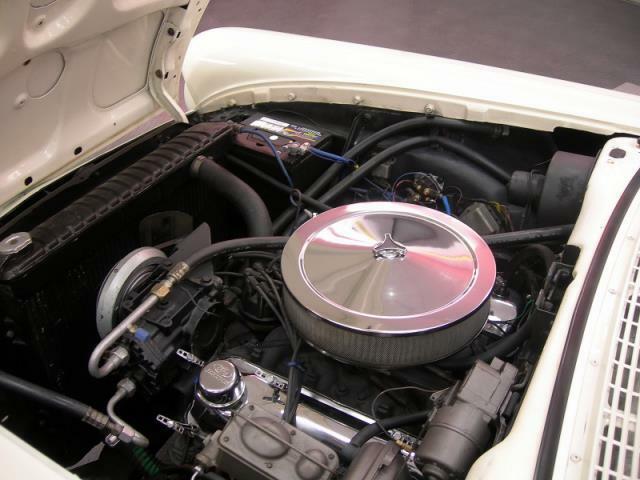 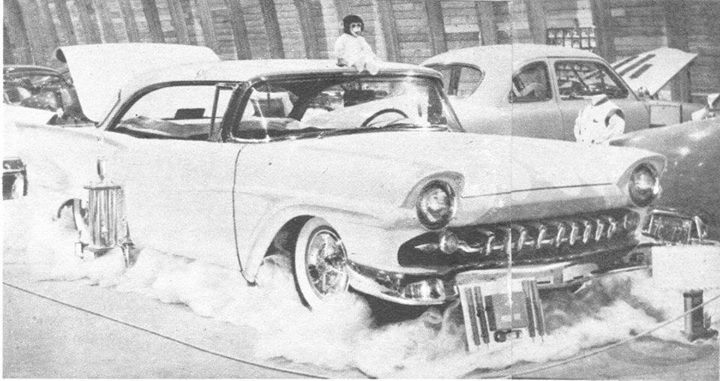 The power train for this Fairlane consist of a 351 windsor V8 backed by an automatic transmission. 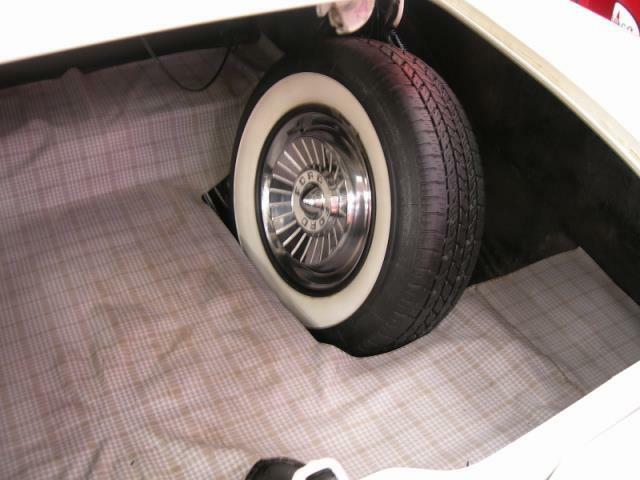 Power disc brakes have also been added along with wide white radial tires. 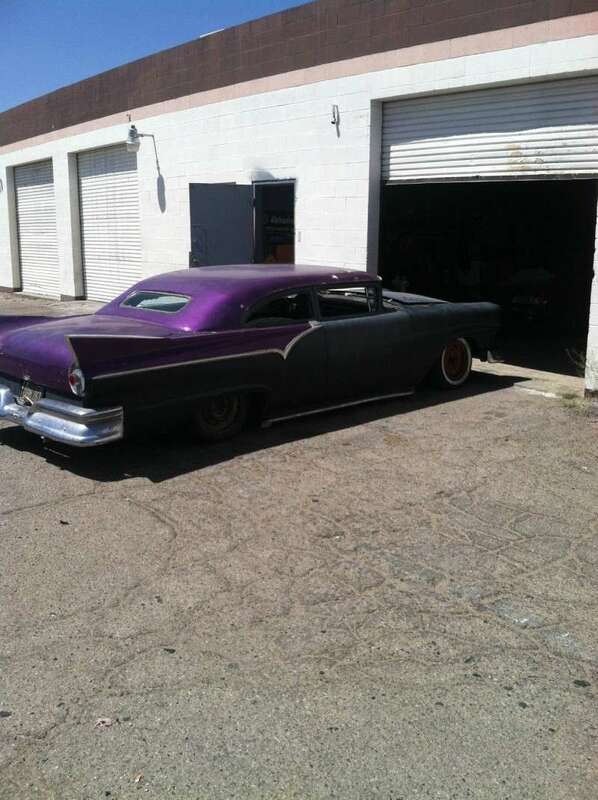 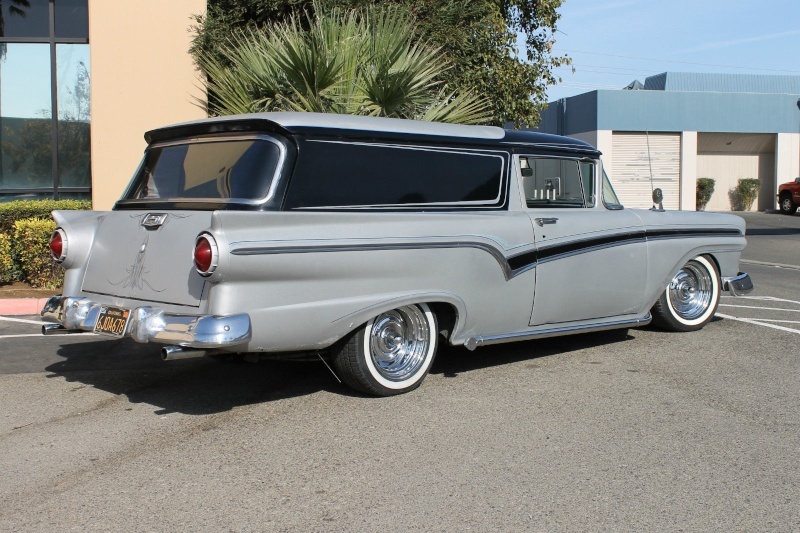 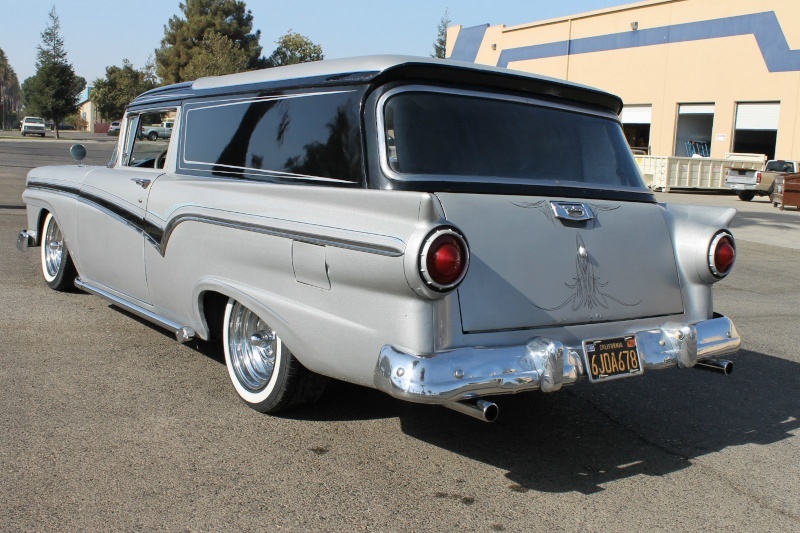 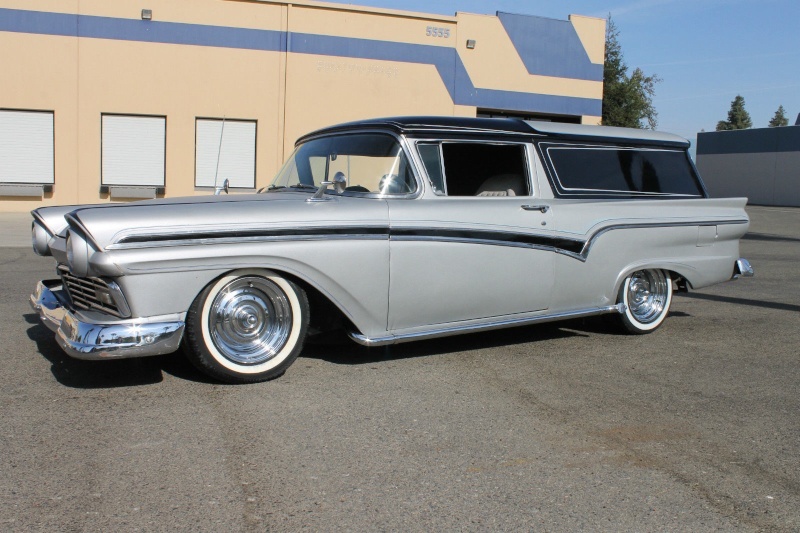 It has been customized with a 352 Ford engine, automatic transmission, Vintage Air Conditioning, Power Steering, Power Disc Brakes, Power Seats, Tilt Steering and more. 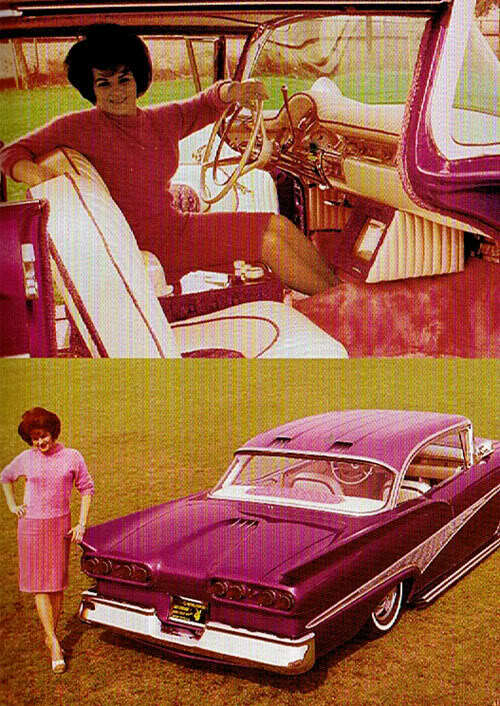 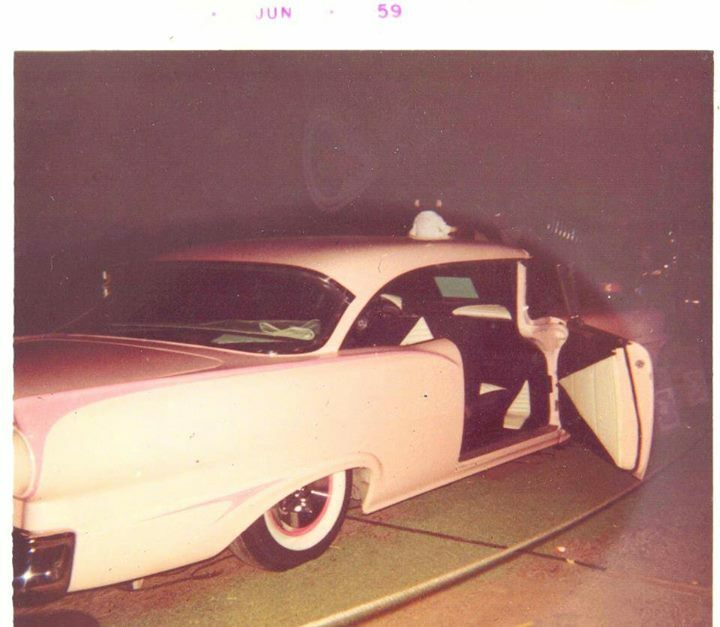 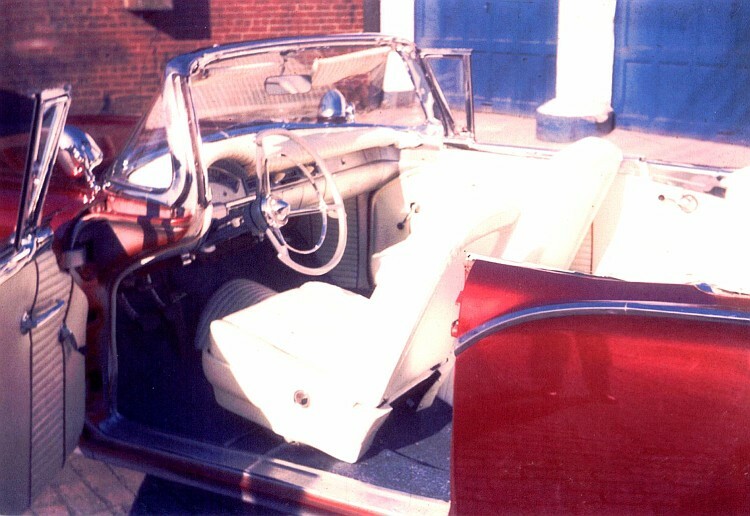 The Royal Coach is an original 1960's custom car that went into the shop new in 1958 and came out in 1962. 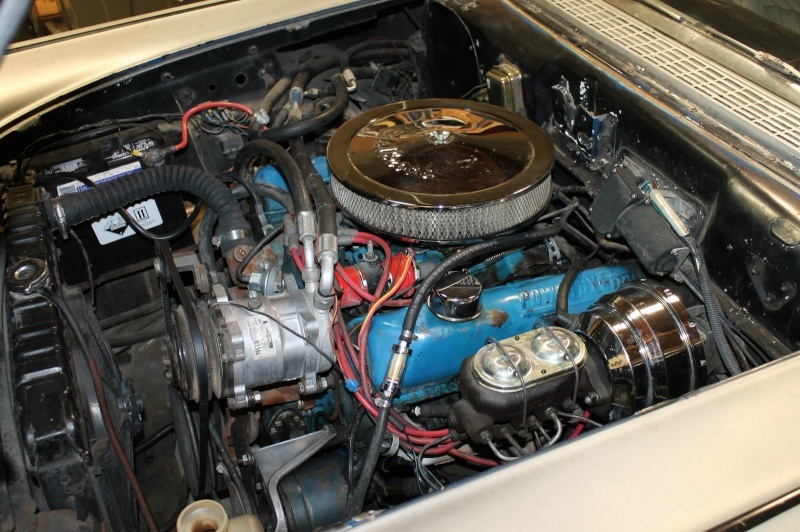 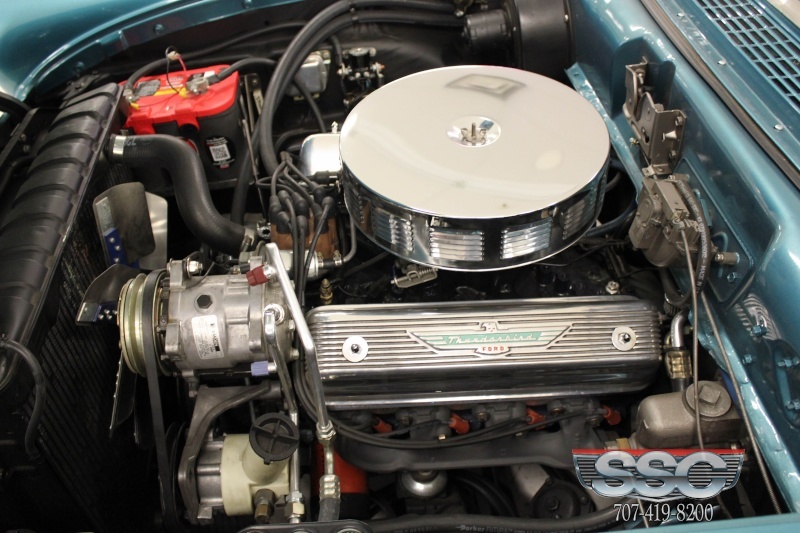 The motor has excessive chrome and triple carburetor set-up. 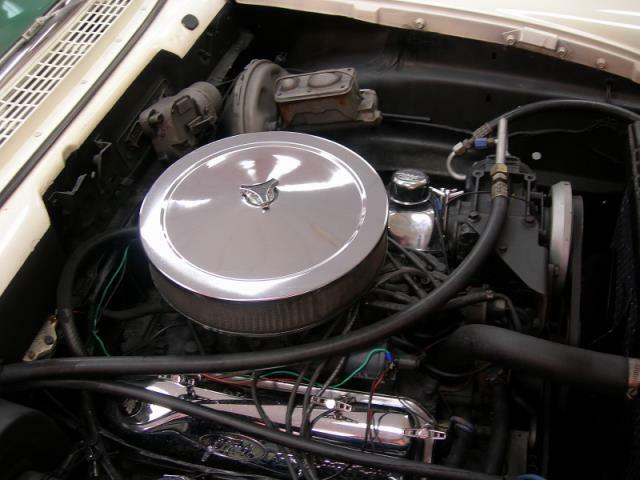 The engine is a 390cid V8. 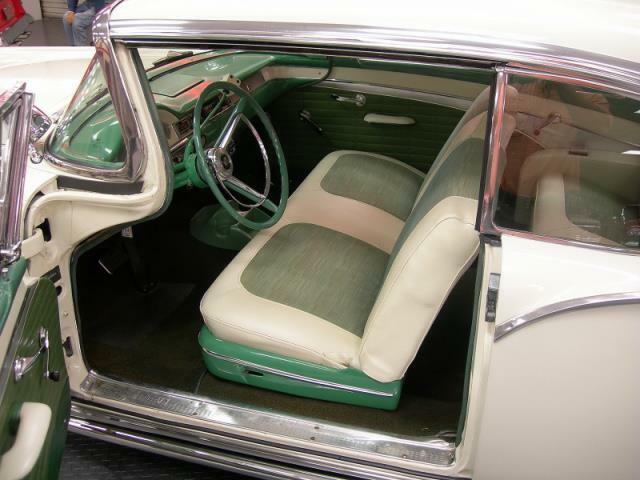 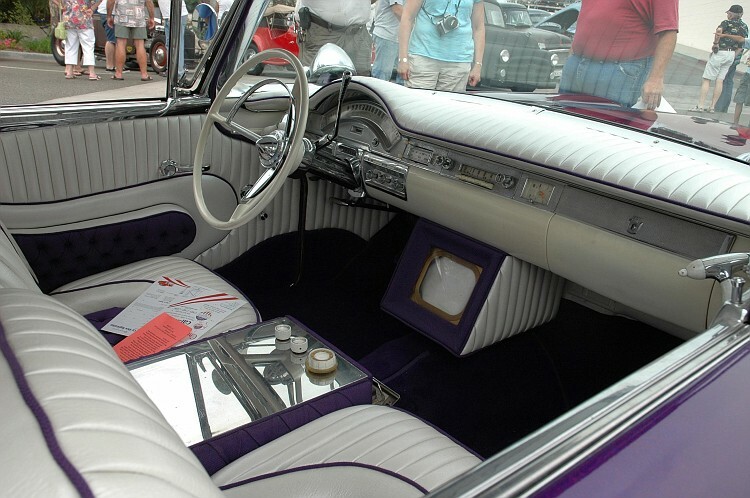 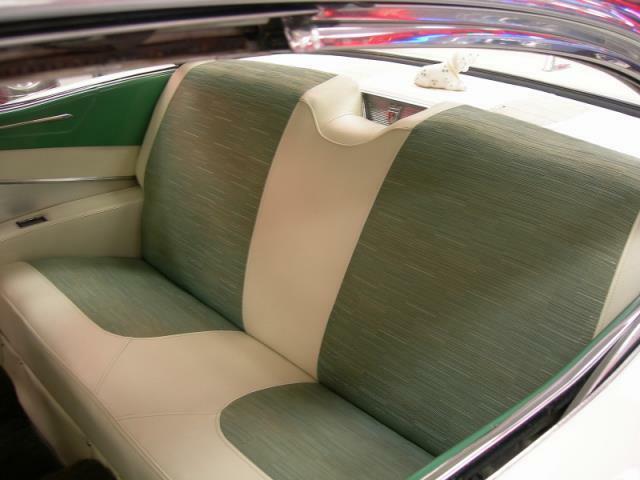 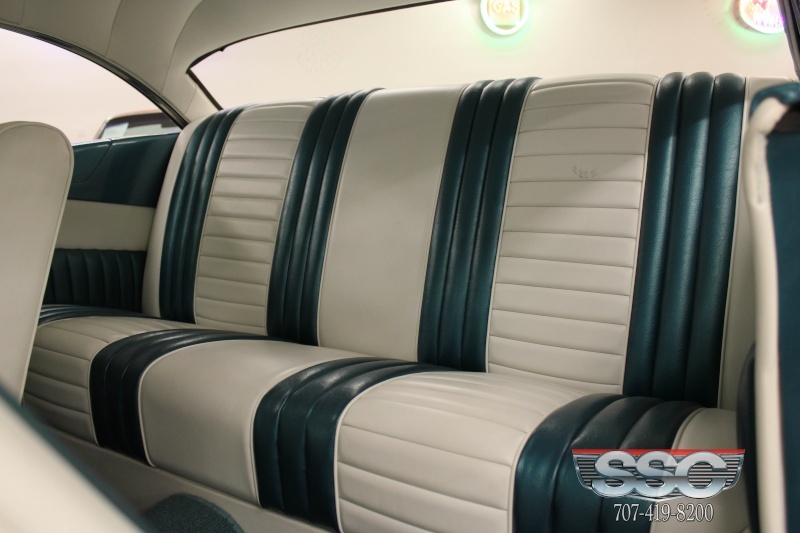 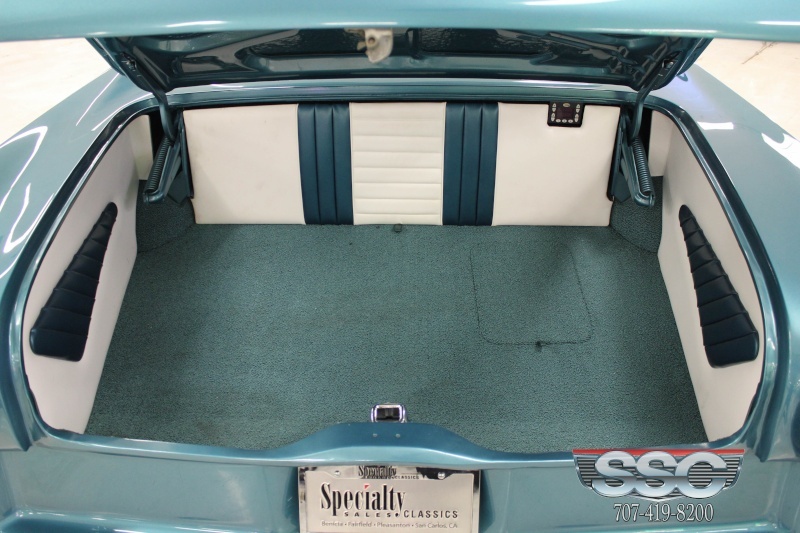 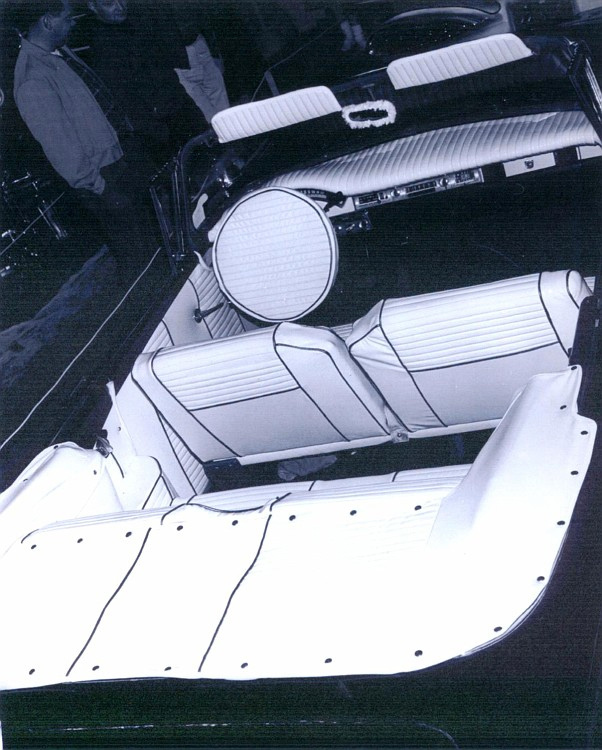 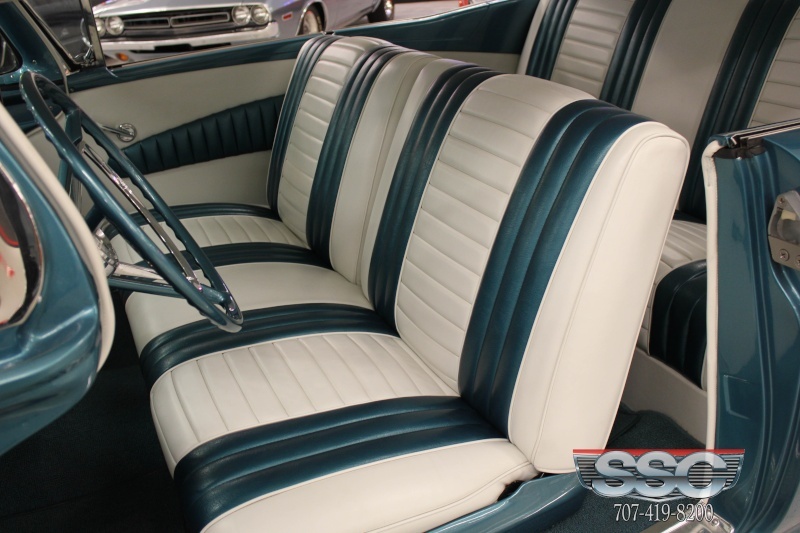 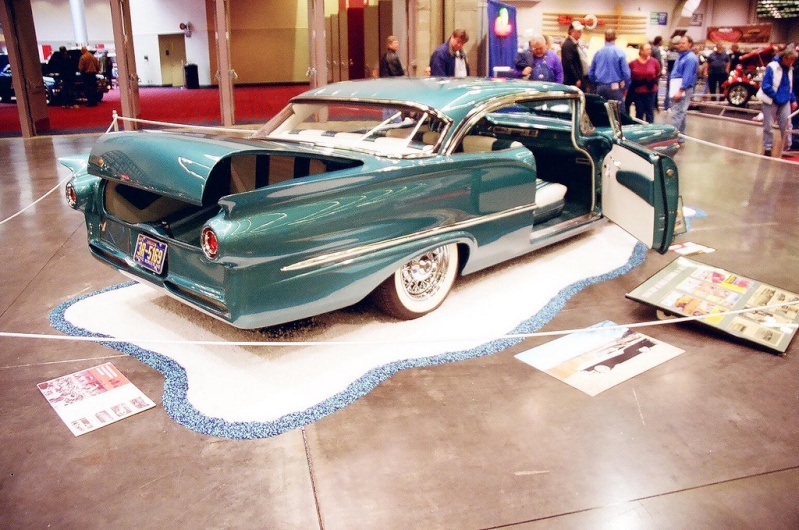 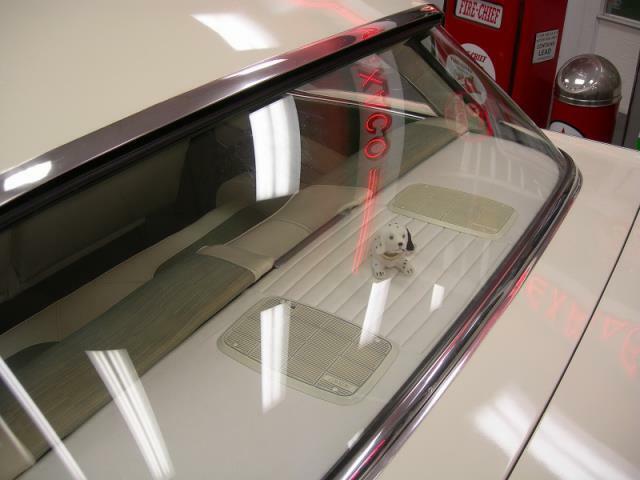 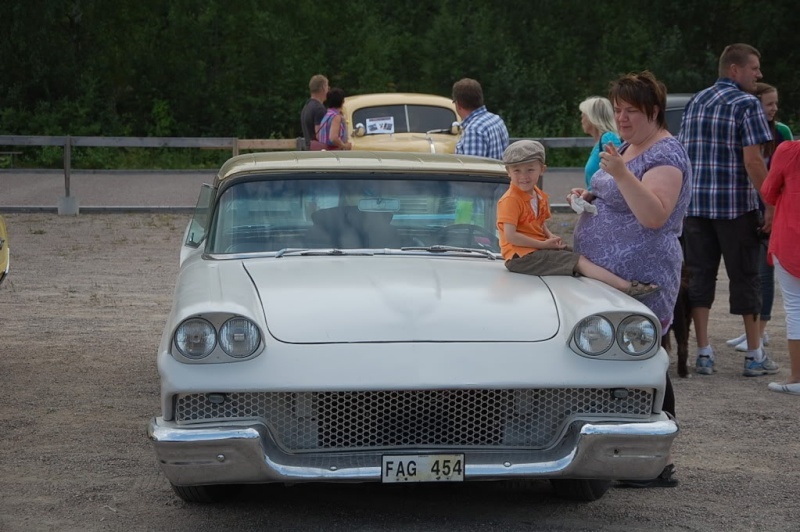 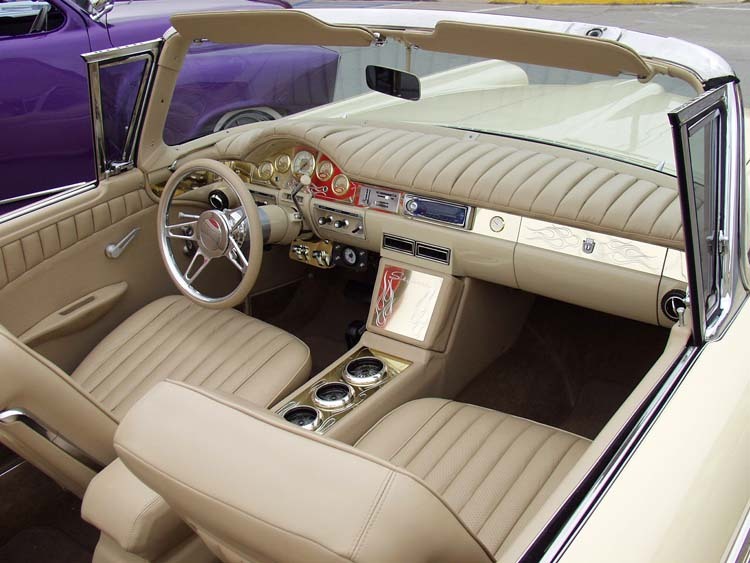 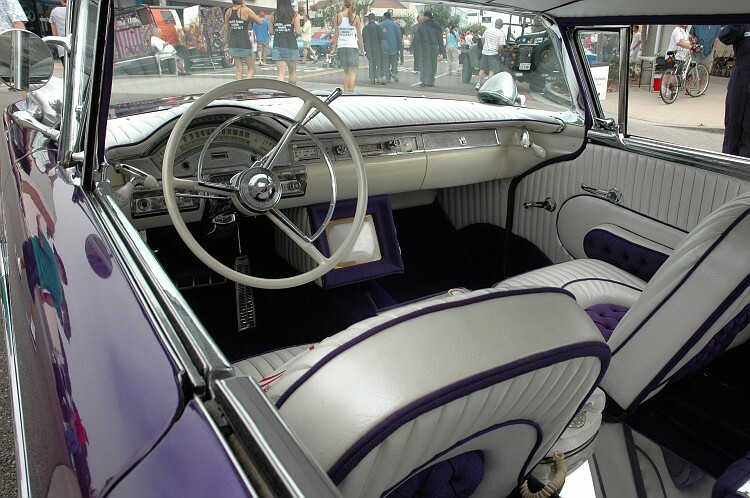 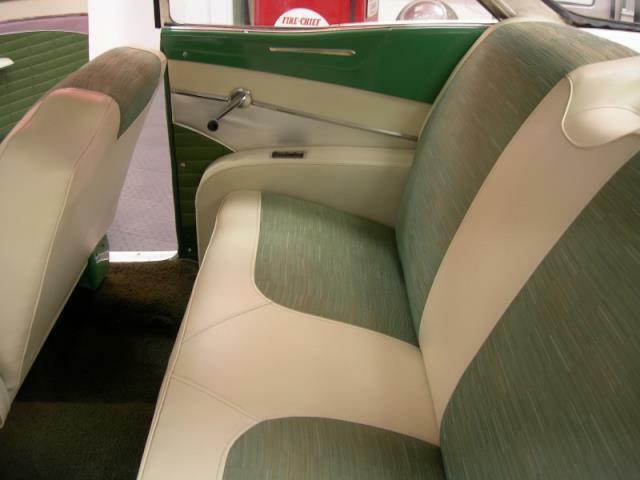 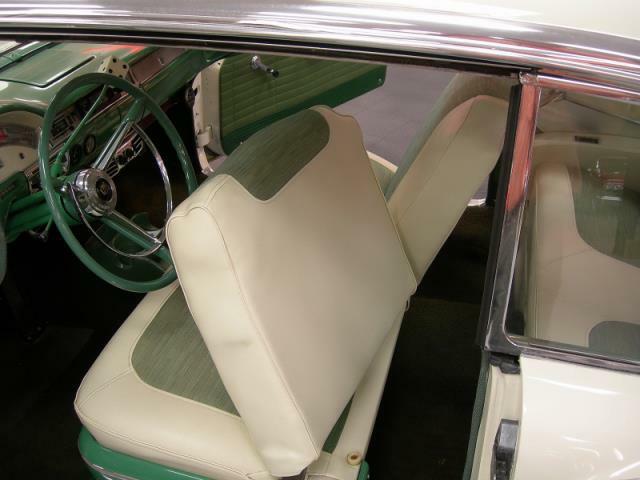 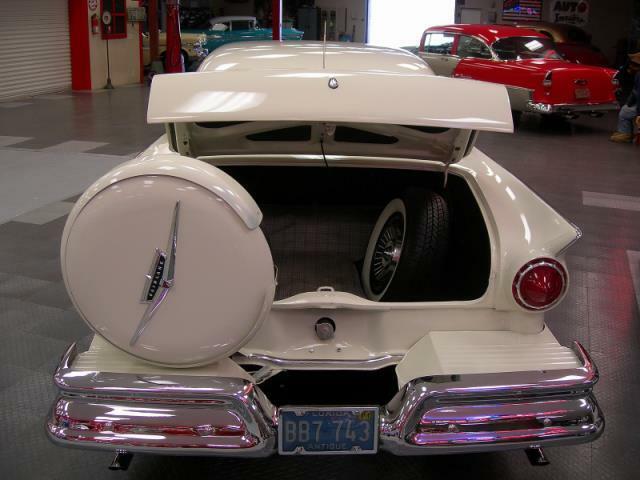 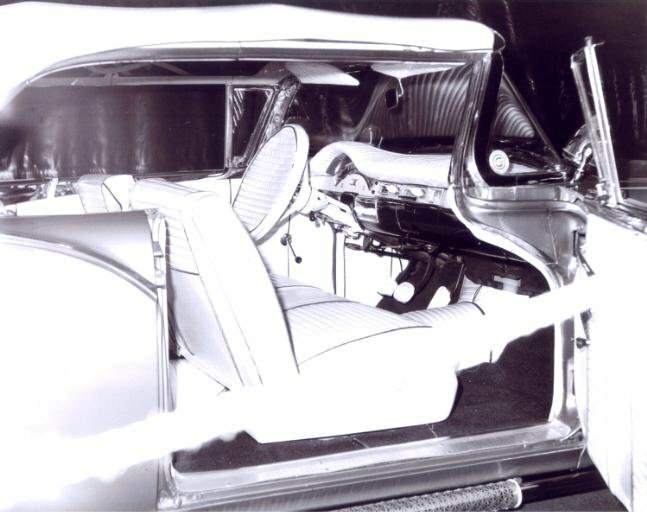 The interior has Thunderbird bucket seats and beverage area for extra points at car exhibitions. 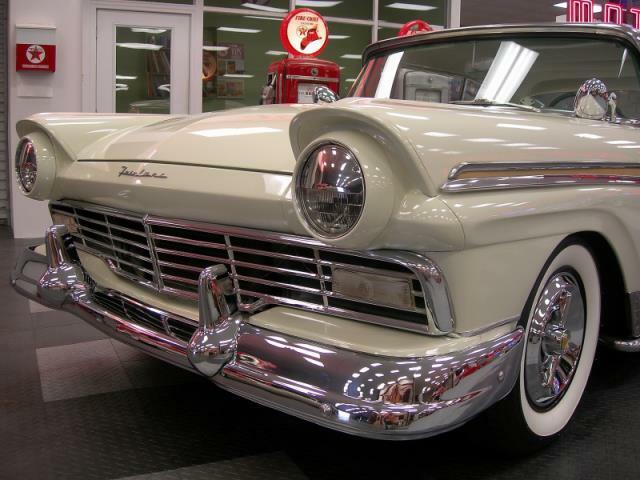 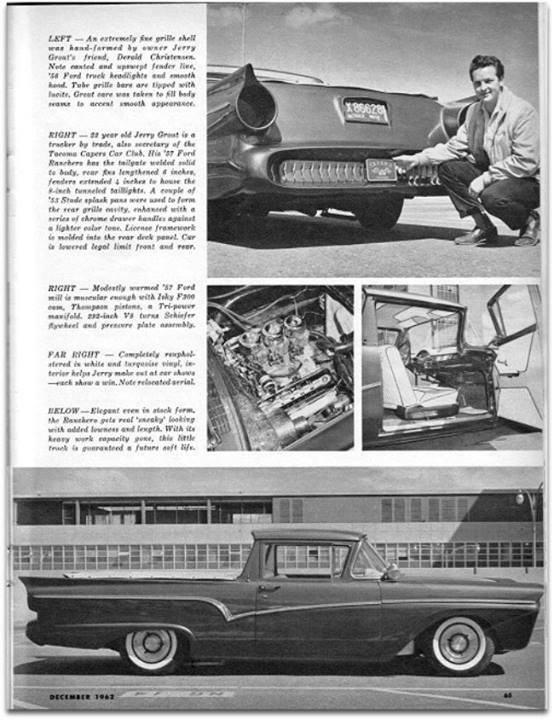 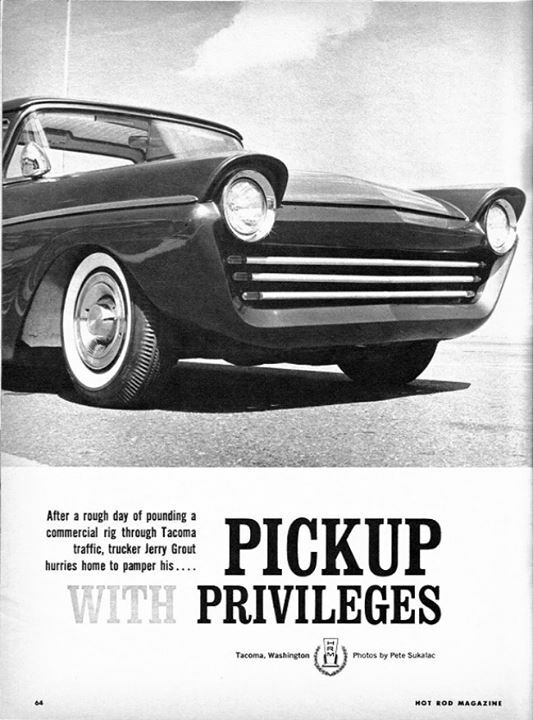 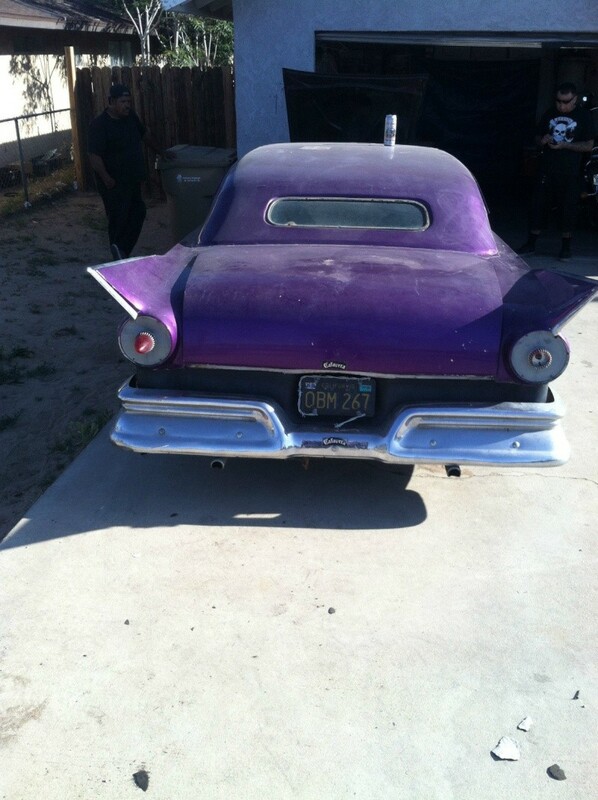 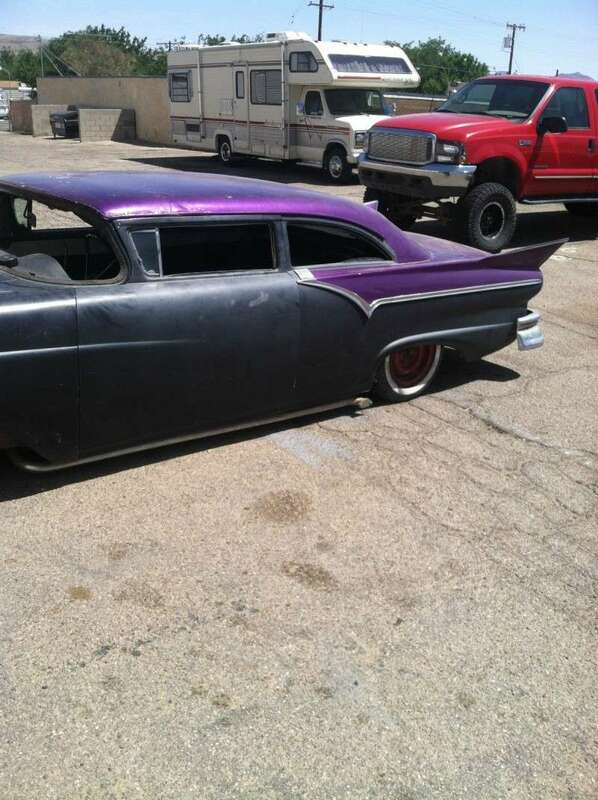 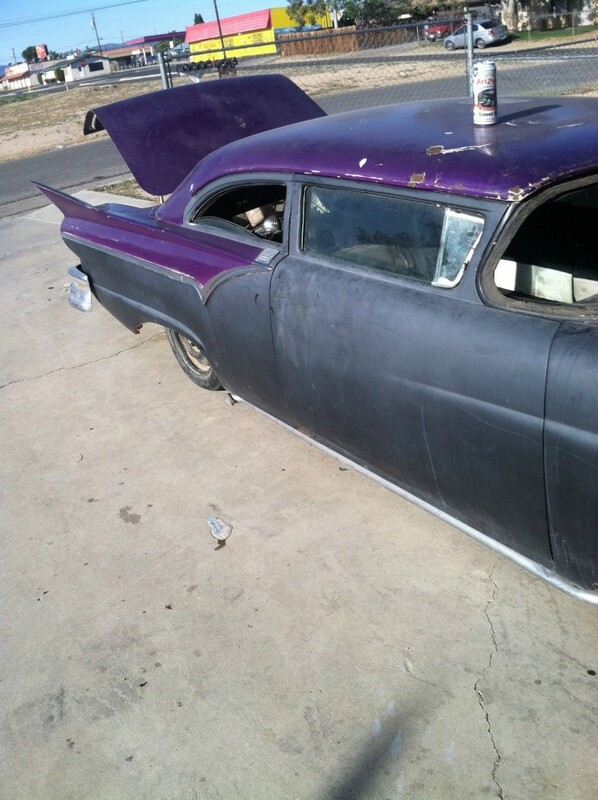 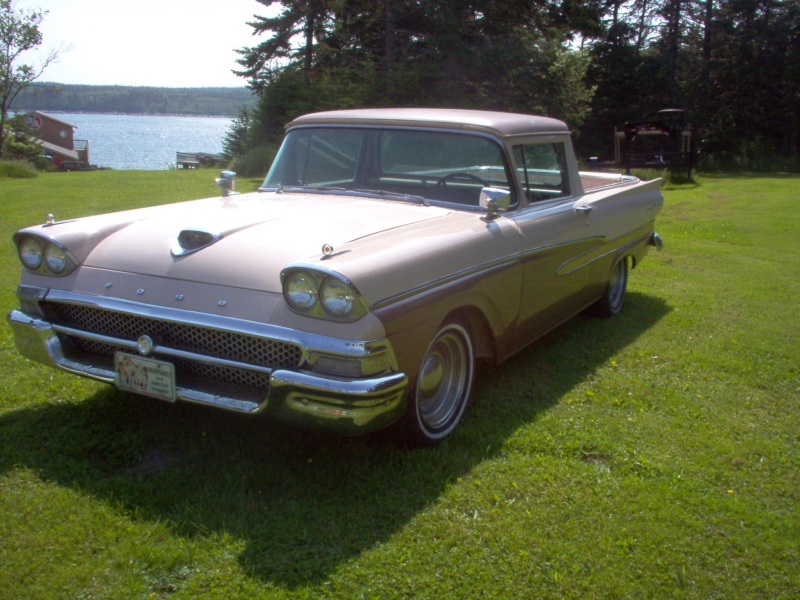 The headlights are set back 1" in 4" extended fenders and the grille is a modified 1959 Imperial. 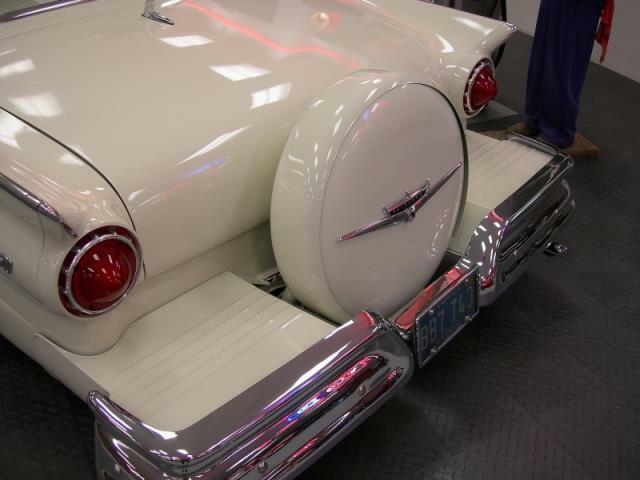 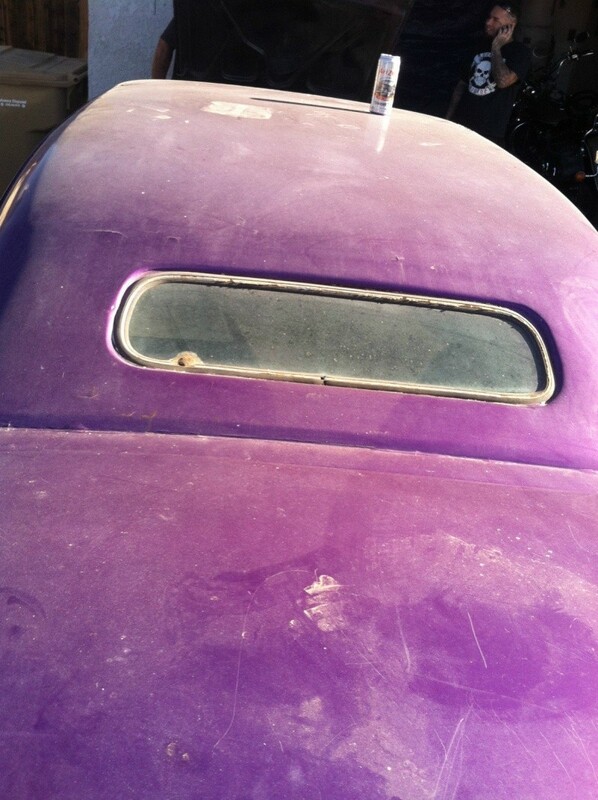 The rear fenders are finned 10" and have 800 hand turned buttons added, with 8 cad tail lights and functional roof scoops. 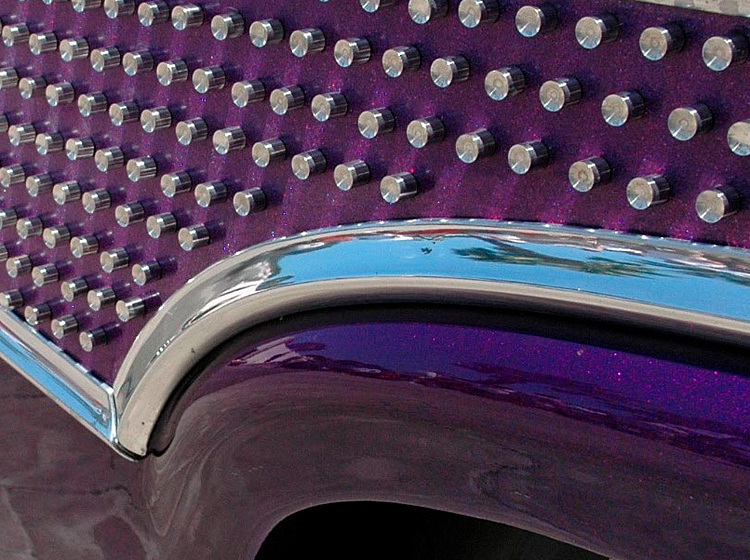 The Royal Coach is extremely well known in the custom car world. 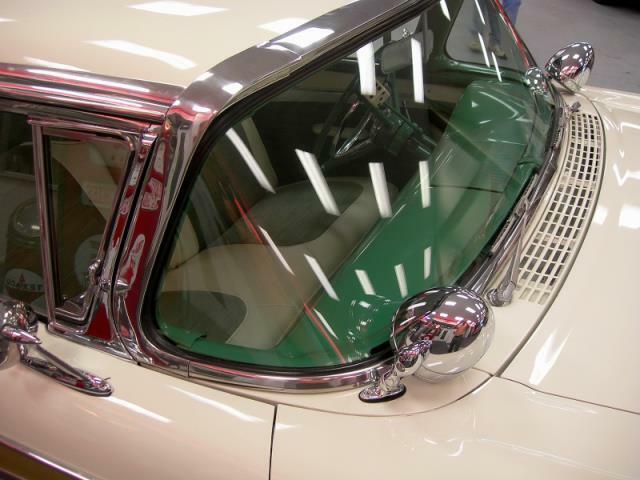 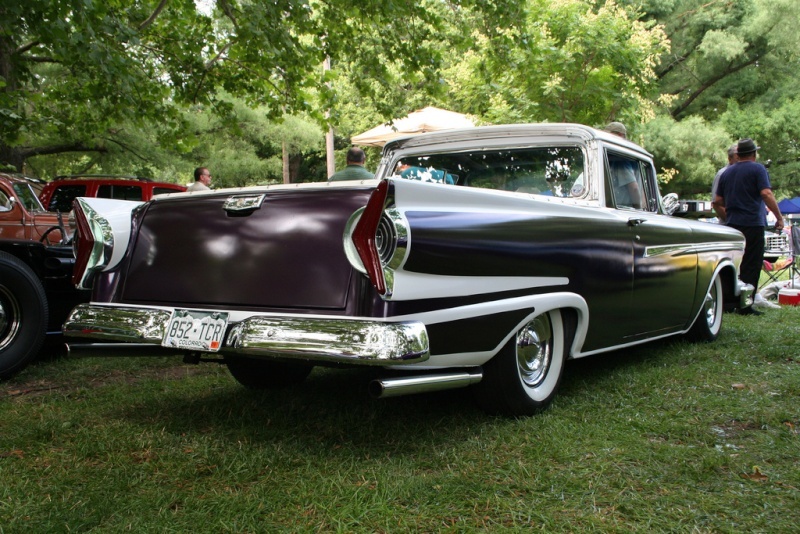 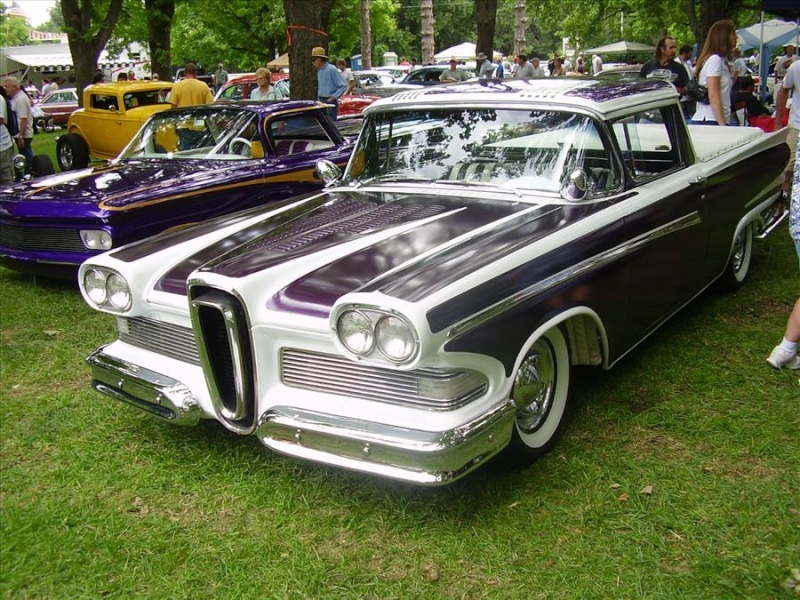 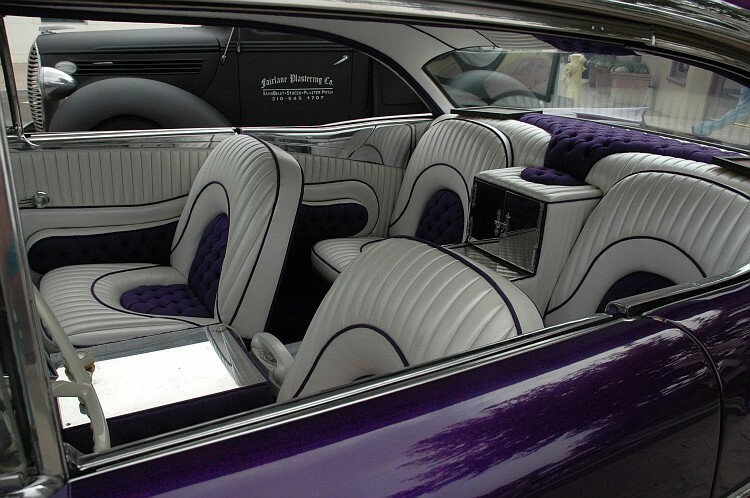 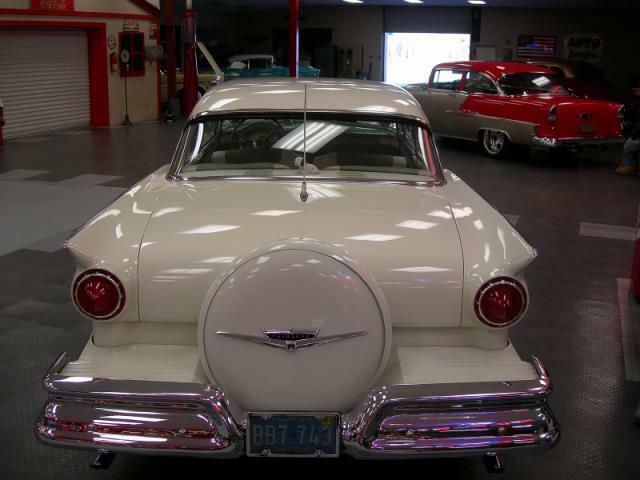 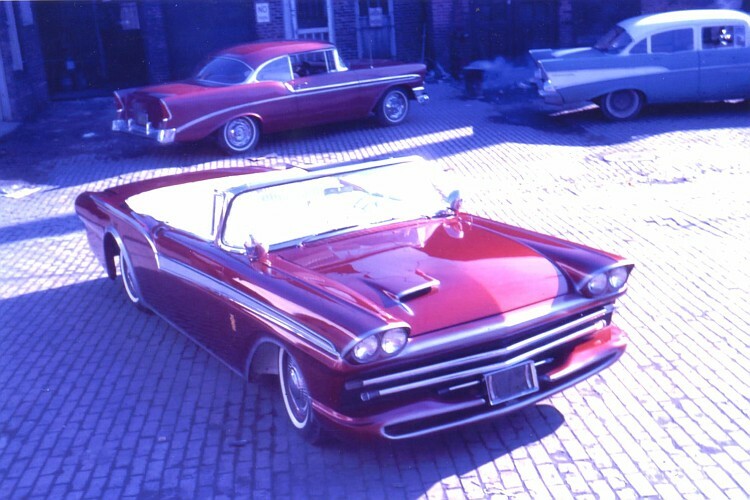 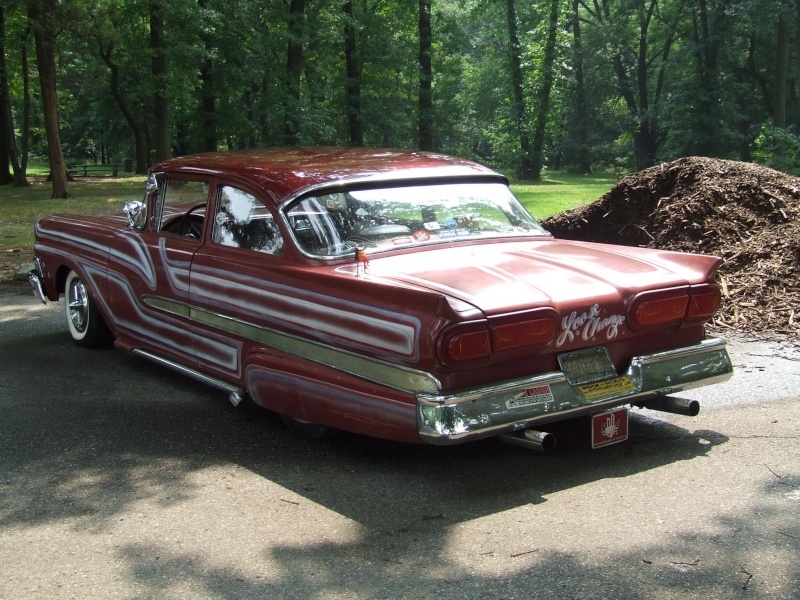 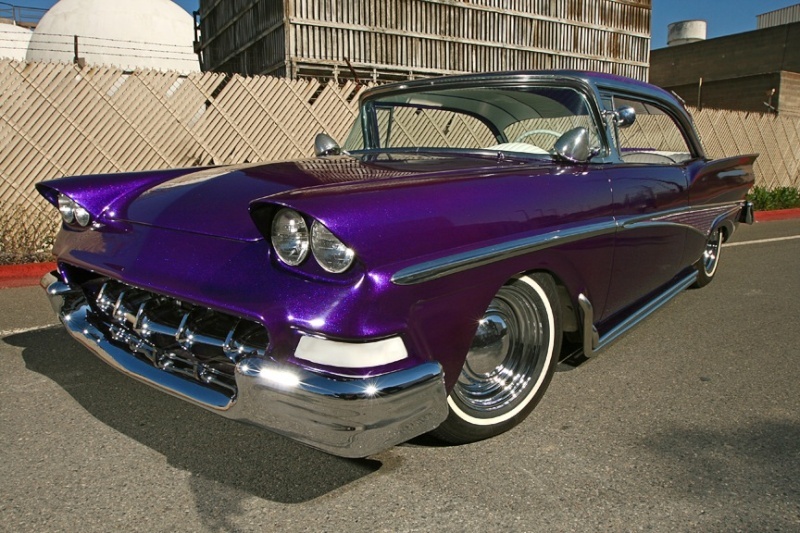 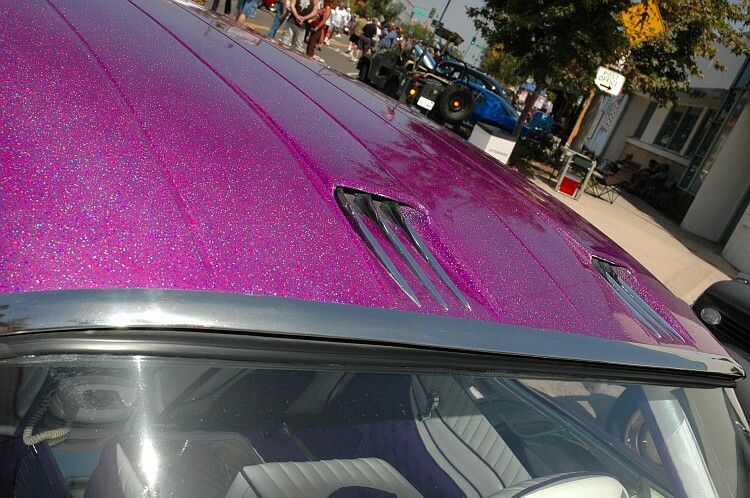 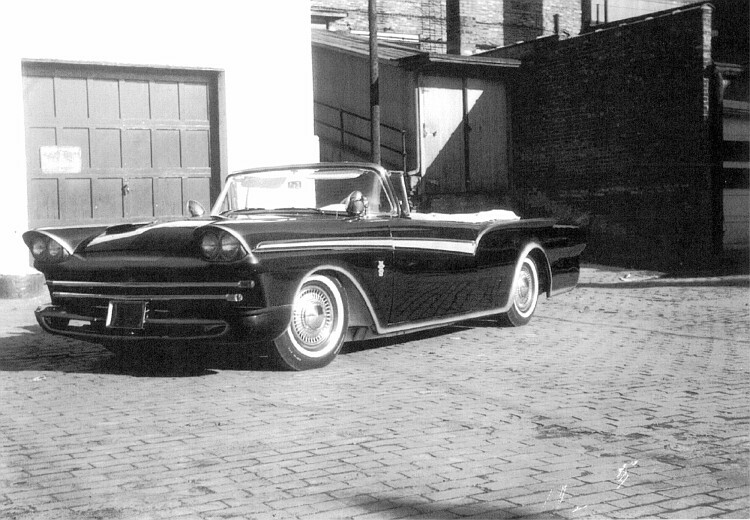 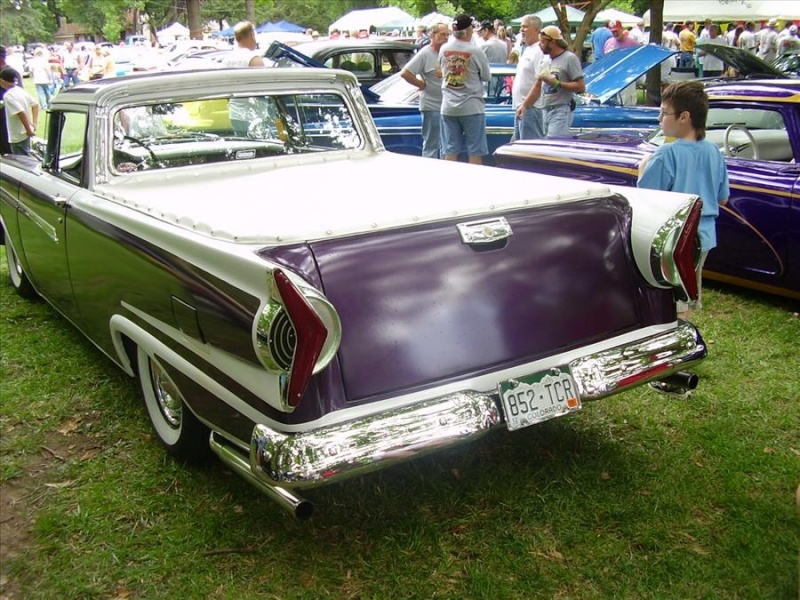 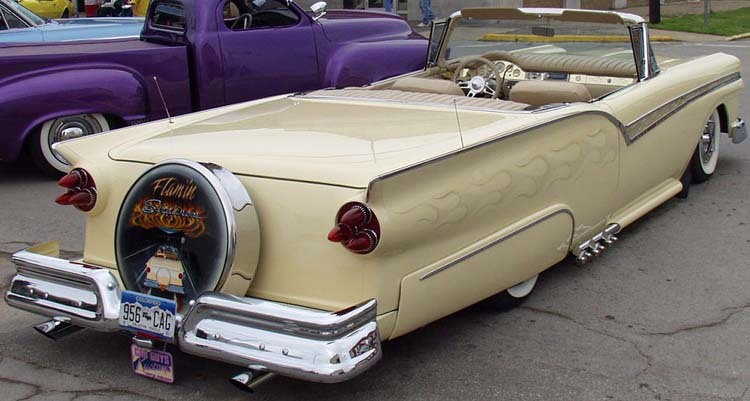 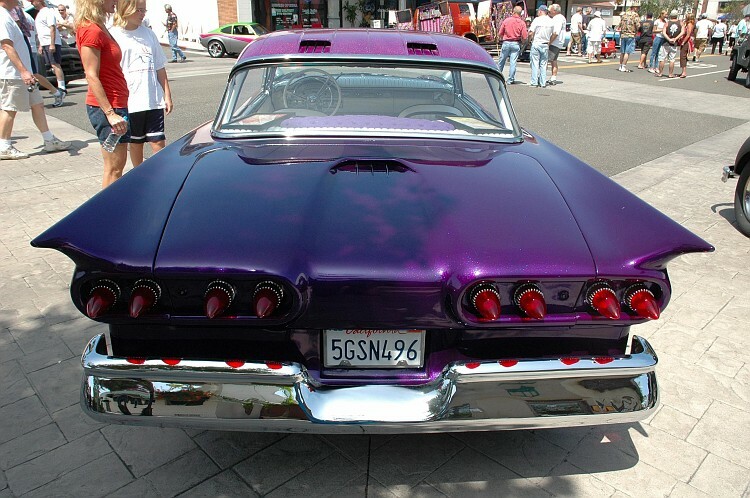 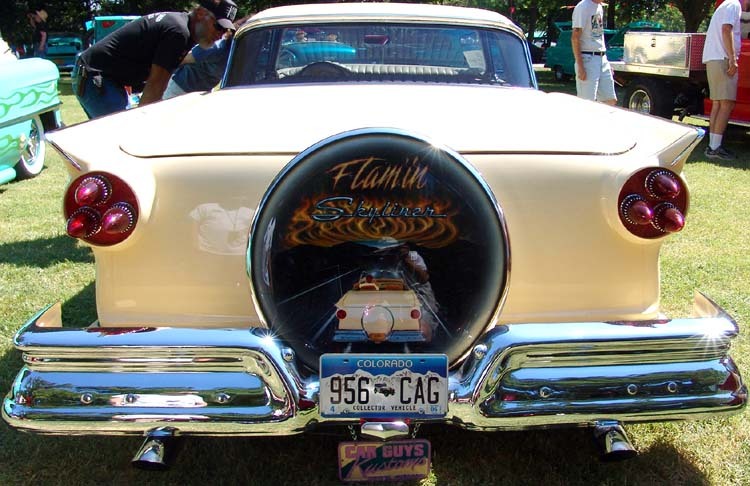 Its pedigree is impeccable; being originally painted by Larry Watson and upholstered by Joe Perez, with body work by Art Lehnerd of Art Chrome Body Shop and being owned by Johnnie Taylor. 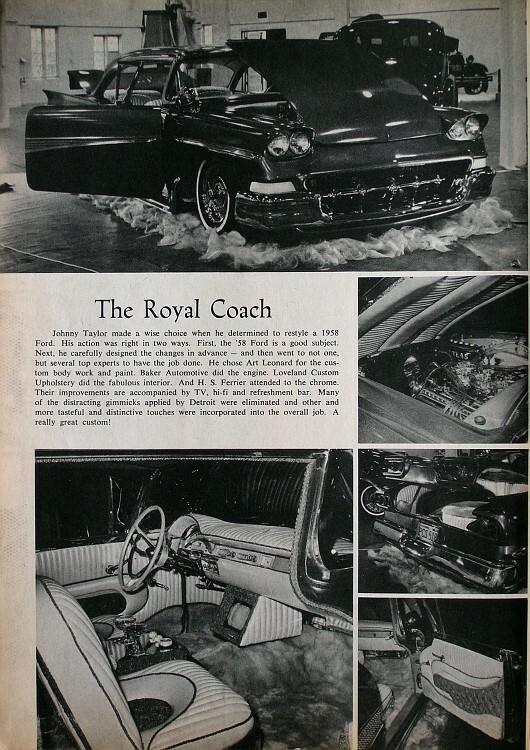 The Royal Coach has been on many magazine covers, even on one with the Italian Thunderbird. 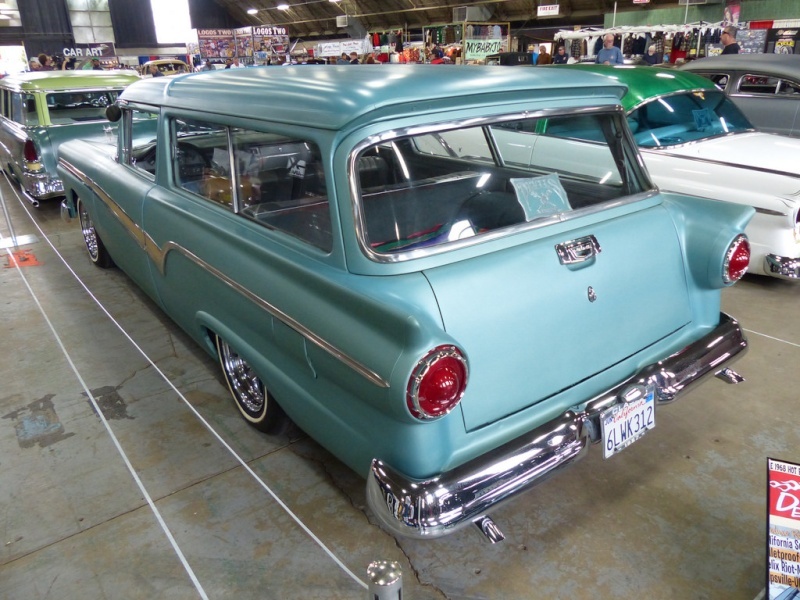 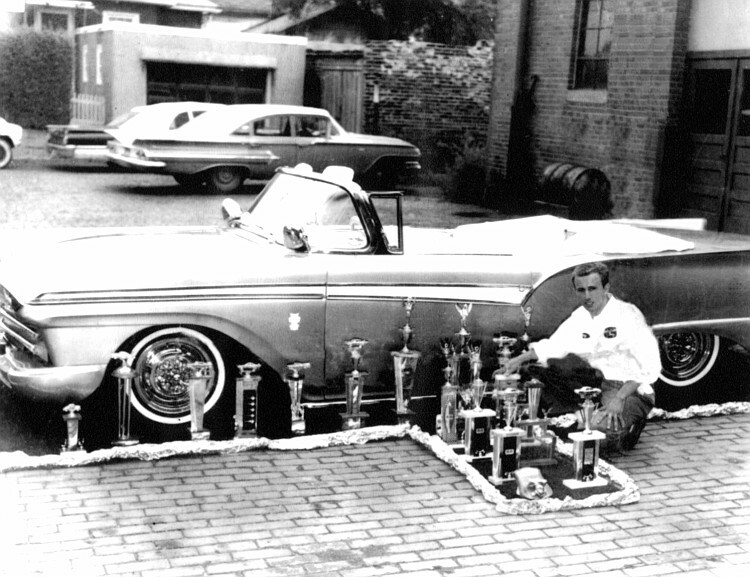 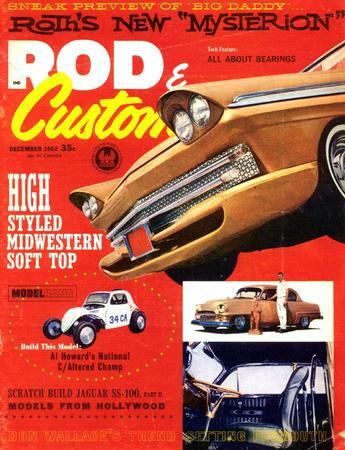 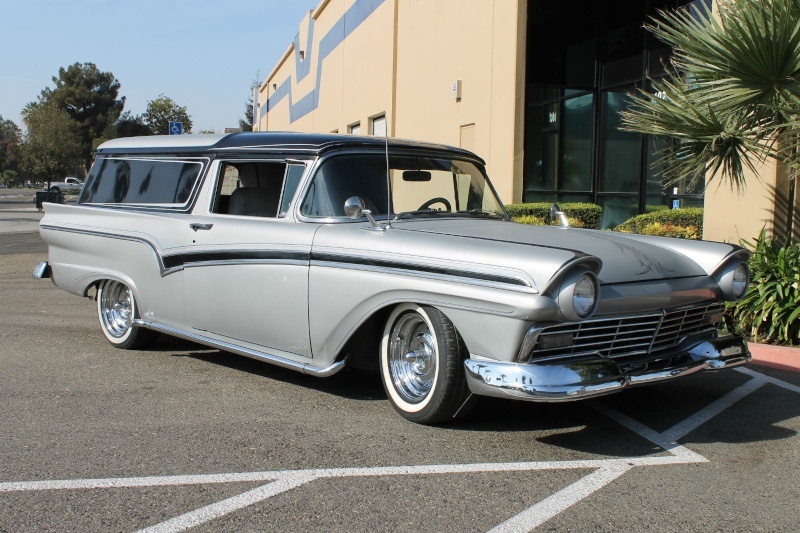 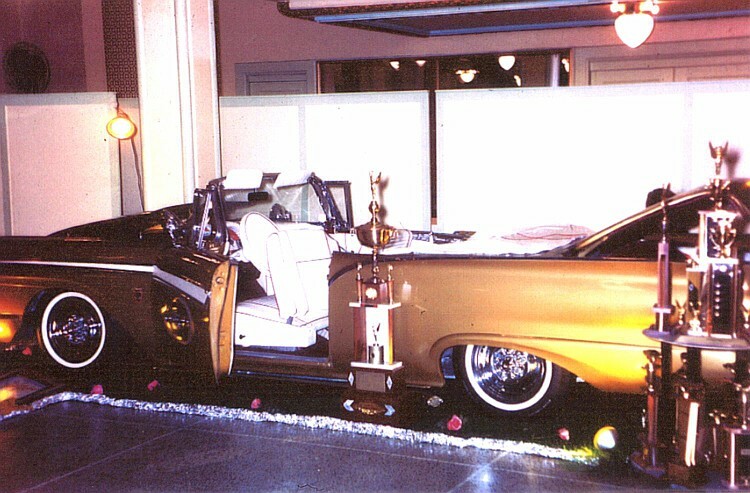 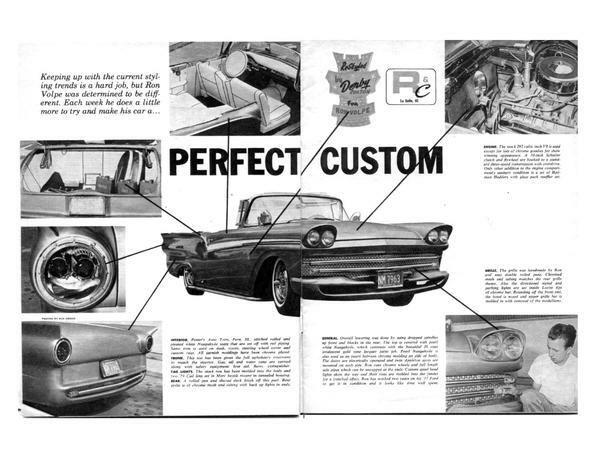 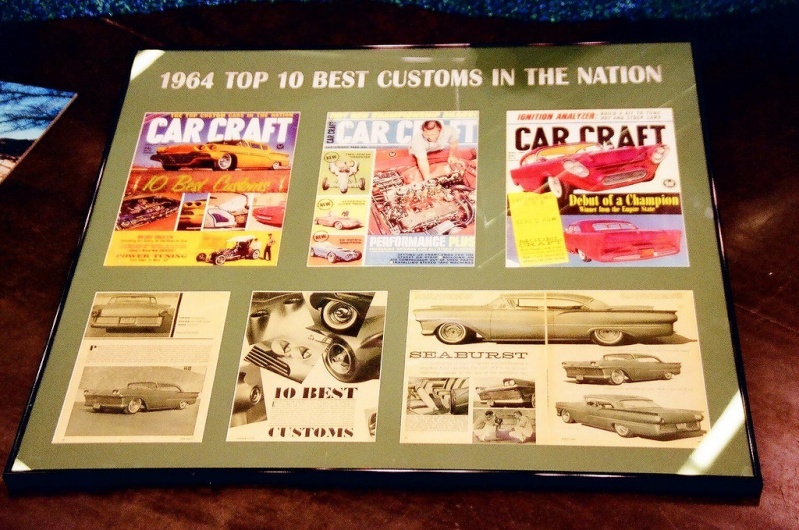 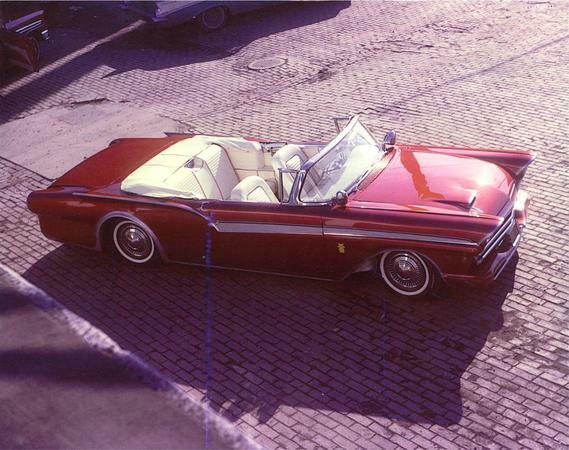 The Royal Coach went on to become the 1963 California custom champion.